Currently booked to speak at FestABLE we have…. With 27 years in SEND teaching, leadership & campaigning, Barney is committed to principles of equity & autonomy in the education of young people with additional needs. He has taught, commissioned, improved & defended SEND provision for young people with neurodevelopmental, sensory & emotional needs across the mainstream, alternative & voluntary sectors & local authorities. He has spoken about SEND on radio, TV & in film. Barney was diagnosed with Asperger’s Syndrome in his 40s. Ben is in the lucky position of managing a team of dedicated, passionate & talented staff who create EHC plans & work toward achieving the best possible outcomes for children & young people with SEND across the city of Sheffield. 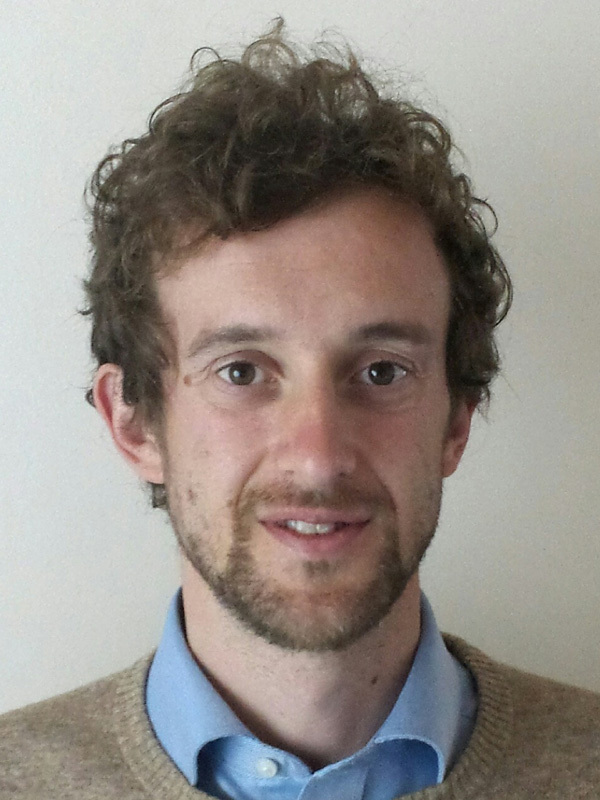 Ben recently moved from Leeds where, over the past six years, he was heavily involved in leading the implementation of the Children & Families Act including the co- production programme with parents & young people, & the conversion of statements to EHC plans. Charlie is mum to 12-year-old twins Oliver & Harry. She was unaware of & unprepared for Harry’s diagnosis at birth of a rare craniofacial condition called Goldenhar Syndrome. Harry is also non verbal, autistic & has significant learning difficulties. Charlie wrote her book ‘Our Altered Life’ for parents who may feel overwhelmed at the start of their journey which has been endorsed by the Children’s Craniofacial Association of America as a fantastic resource. She also blogs at ‘Our Altered Life’ where she promotes education, awareness & the power of a good sense of humour! have complex medical needs & disabilities. 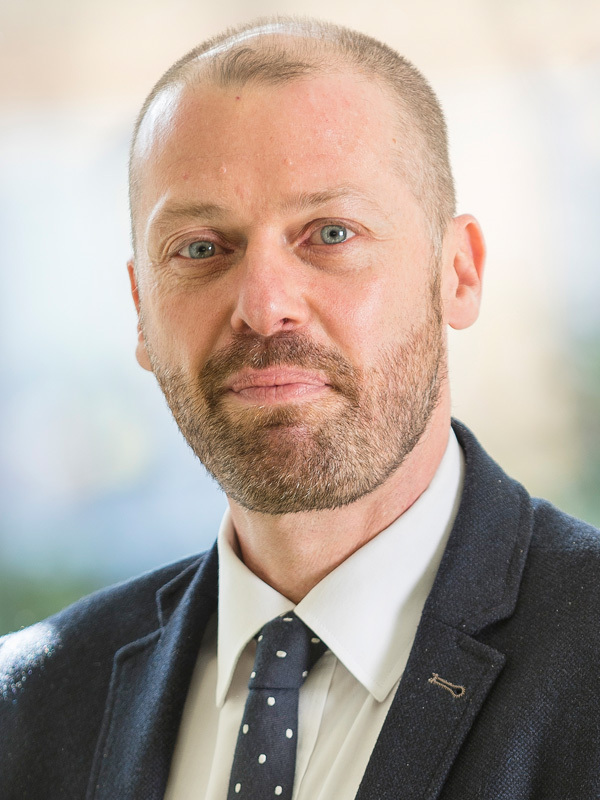 Adam is Chief Executive of nasen (the National Association for Special Educational Needs) with responsibility for strategic direction & operational delivery. Prior to this, Adam held a number of senior education roles including Director of the Centre for Professional Education at the University of Warwick, Academic Principal for IGGY (an educational social network for gifted teenagers) & West Midlands Area Coordinator for the Further Mathematics Support Programme. 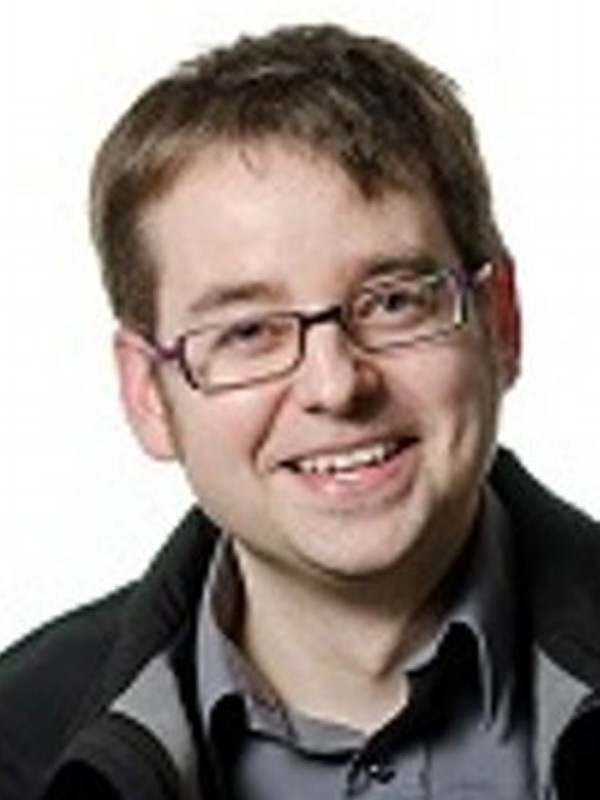 Adam is a Trustee of the Active Learning Trust & the Potential Trust & is a National Leader of Governance. Zoe is mum to the late Adam Bojelian, who sadly died from sepsis aged just 15 years old in 2015. Adam gained international fame for his multi-award poetry & blogs. Supported by Adam’s dad Paul & Adam’s much-loved dog Charlie, Zoe will tell the story of Adam’s life, illustrated by Adam’s own words & music. In addition to being Adam’s mum, Zoe is a legal academic, teaching at York University’s law school & Edinburgh University’s medical school. 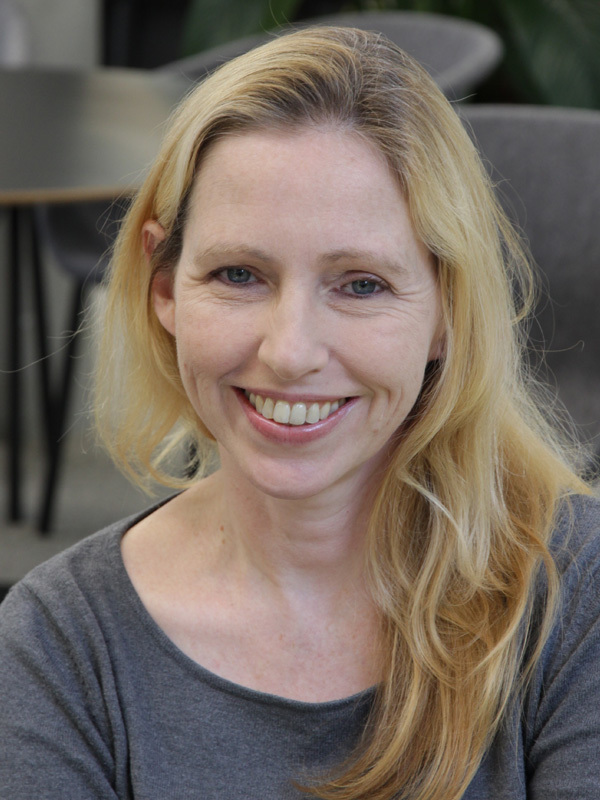 Zoe has recently completed her PhD which looks at doctors’ decision-making for children with disabiltiies. Zoe works closely with several national health organisations serving on guidelines & research committees. Jonathan, aged 12, believes passionately that all children are entitled to literacy education regardless of their label. Described as having profound & multiple learning difficulties (PMLD) himself, he was not offered this opportunity within his special school. Instead, taught to read & write at home, Jonathan is now enrolled in mainstream secondary, & campaigns under the banner ‘Teach Us Too’. 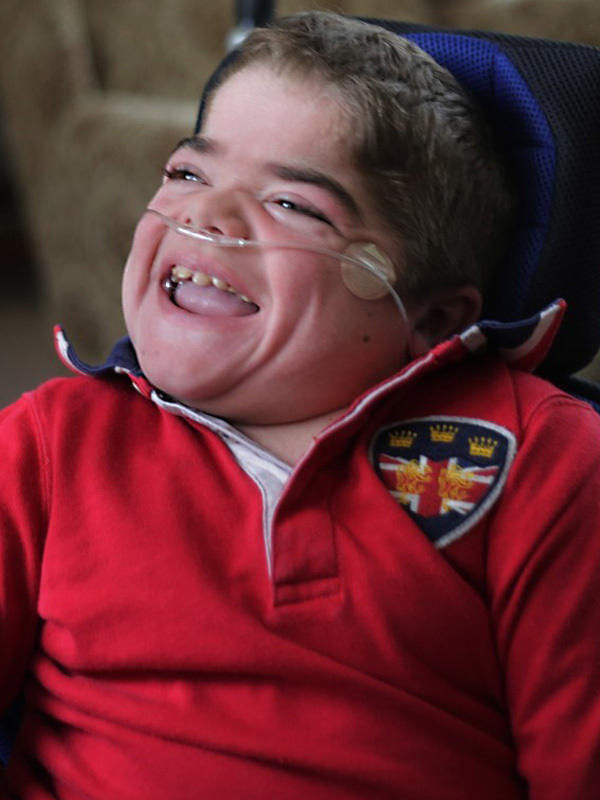 Aspiring to change the educational experience, Jonathan works towards a time when our education system & the professionals working within it assume children with PMLD can be competent. His book ‘Eye Can Write’ is being published on 12 July. Elly is driven to make change with passion & honesty for our amazing exceptional children, thanks to her greatest teacher – her phenomenal eldest daughter. Turning a serious negative into a huge positive, Elly developed & manages daily an extraordinary ‘A Team’ of Intervenors & an ‘out of the box’ approach for education. Currently writing about values, ethics & excellence in practice supported by colleagues in the USA. Aiming to blog/vlog successfully & learning how to tweet. ‘CanDoELLA’ is a moving story rooted in the value of authenticity, belief, hope & a mission to change things for our exceptional children. Victoria has significant experience working at senior management level in the area of SEND & understands the challenges & opportunities this brings to local authorities. 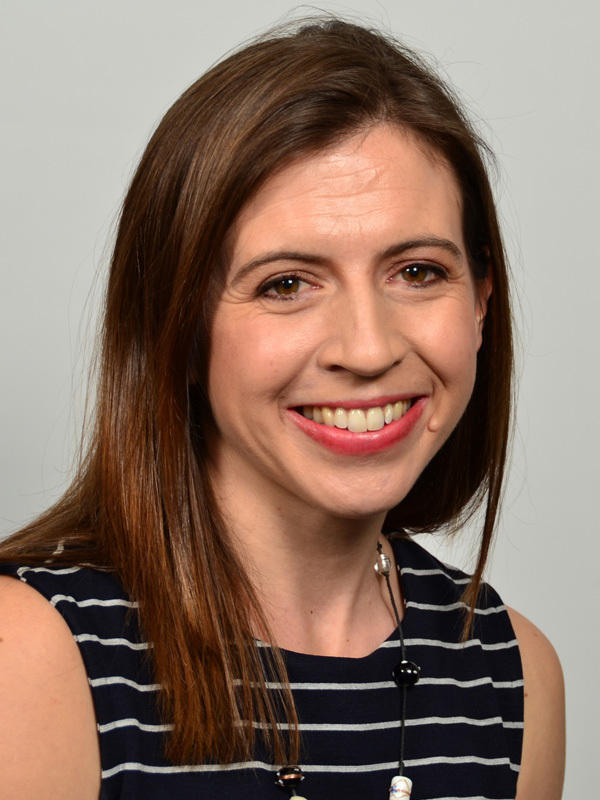 Her experience includes managing both the SEND transport & the statutory assessment teams in the London Borough of Hillingdon & currently she leads the SEN team in Leeds, which is now recognised both locally & nationally as having models of good practice. 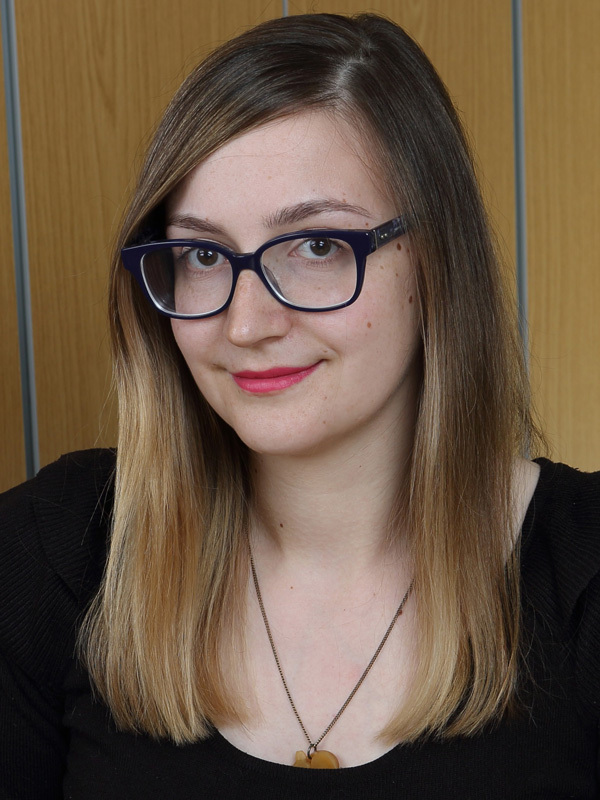 Victoria loves working for Leeds & enjoyed leading on the implementation of some of the key areas of change from the Children & Families Act 2014. Her master’s dissertation focused on the voice & influence of children with SEND in decision making & she continues to be passionate about translating this into everyday working practices. & SEN/ inclusive policy; in particular the implementation of the SEND reforms. She is currently writing a book focusing on the changing SENCo role & inclusive practice. She is passionate about advocating for the SENCo role, & the positive impact this can have on children, young people & families. Helen regularly tweets about SEN policy & the role of the SENCo (@hel_curran). Martha is CEO & Co-founder of Mable Therapy. Mable has combined cutting edge gamification technology & telepractice to change the way speech & language therapy is delivered to schools. Martha is a strong advocate for digital therapy. She has written the national clinical guidelines on telepractice for the Royal College of Speech & Language Therapists (RCSLT) & now consults for the RCSLT on digital health issues. & then dropped it all to go to the Falkland Islands becoming a radio news broadcaster. On Jules’ return to the UK she began working as a Parent Partnership Officer which changed her outlook on how schools communicate with parents. Since then, Jules has worked in further education & higher education as an English lecturer & learning support tutor before working for Dorset’s SENSS service. Before taking up her current post, Jules was Head of a speech & language base & alternative curriculum in a mainstream school alongside co-ordinating literacy across 17 schools. 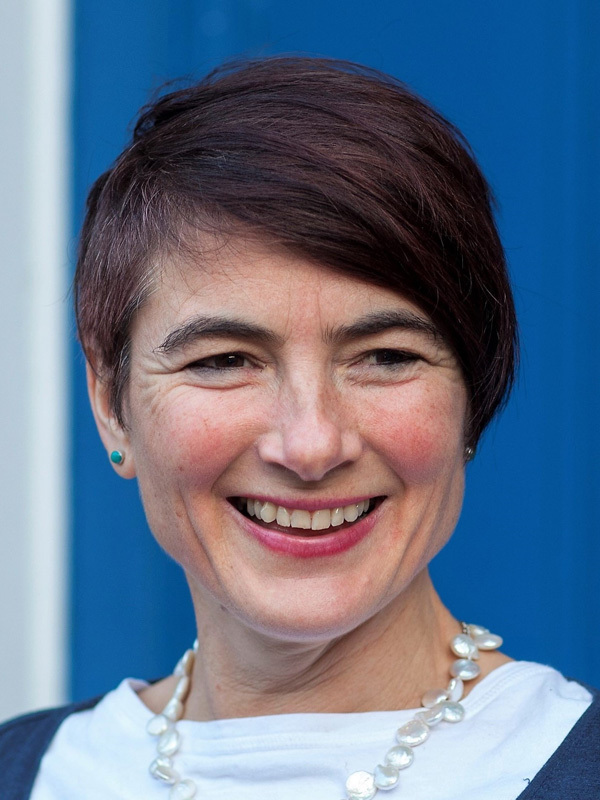 Claire has been Chief Executive of NASS since 2005. She previously held policy responsibility for non-maintained & independent special schools in the Department for Education. Claire started her working life as a psychologist, working in both child & adolescent & adult mental health services. She has a number of publications on the topic of self-harm from her time as a research psychologist at Birmingham Children’s Hospital. She also taught psychology & managed the community care pathway on the University of Birmingham’s social work programme. Within NASS, Claire works with over 290 special schools, catering for more than 10,000 children & young people with complex needs. Claire represents the sector in work with central & local Government & Ofsted & has recently been involved in work on the SEN Reforms, Quality Standards & Public Procurement Regulations. 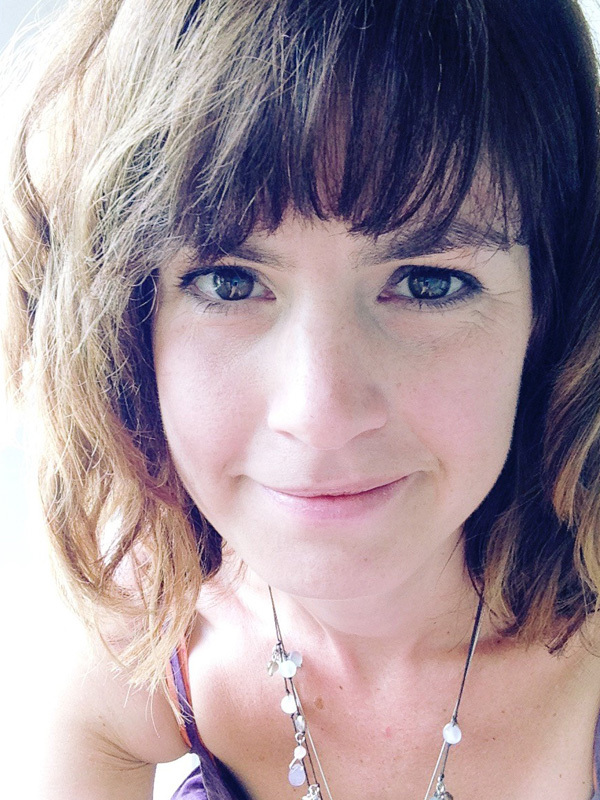 Claire is a published poet, cartoonist & music journalist. As a parent of four children, three of whom are dyslexic, Sarah has spent the past 23 years struggling with the education system. Her motivation, as founder & chair of Driver Youth Trust is to ensure that no child goes through what her children did. Sarah is passionate that learners can leave education & continue their working lives knowing what it means to be able to succeed. Her work through DYT’s Drive for Literacy Programme ensures that inclusive literacy is embedded throughout the whole school. 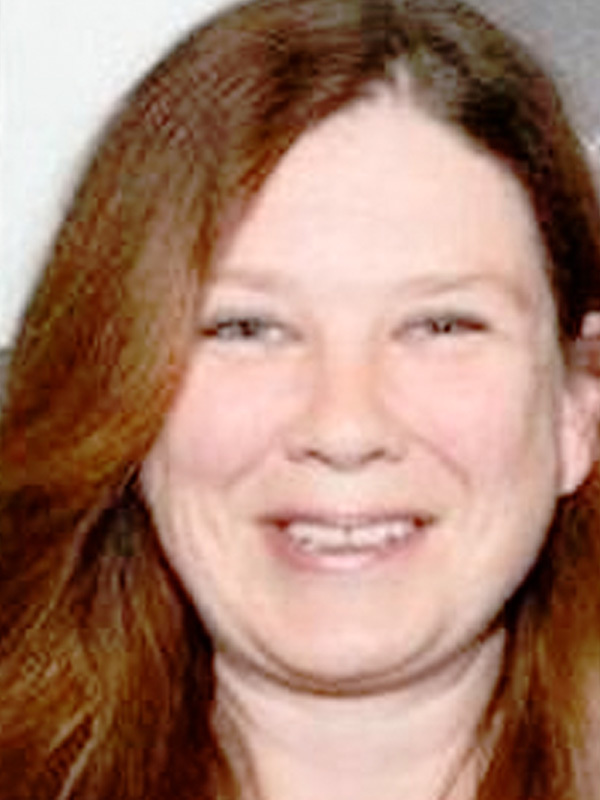 Sarah now divides her time between running Rathfinny Wine Estate & leading on strategy at DYT. Andy started his career at RM plc & moved into a variety of technology-based business development roles before spending 11 years at The Chartered Institute for IT. 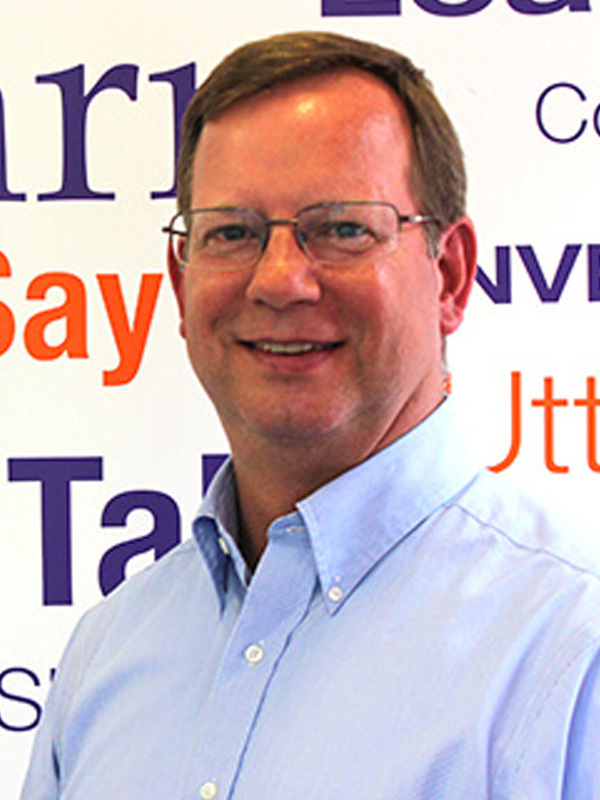 In his time at the institute he grew & led the enterprise sales team & latterly headed up the global channel business for vocational IT certifications. 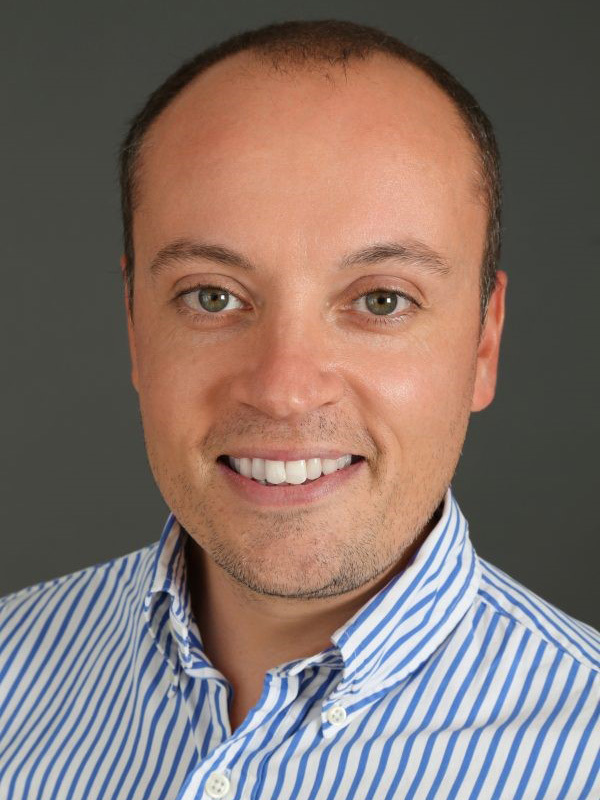 Prior to joining Jisc, Andy graduated from Coventry University with an MA in Global Entrepreneurship & gained valuable experience as a consultant working with technology startups. 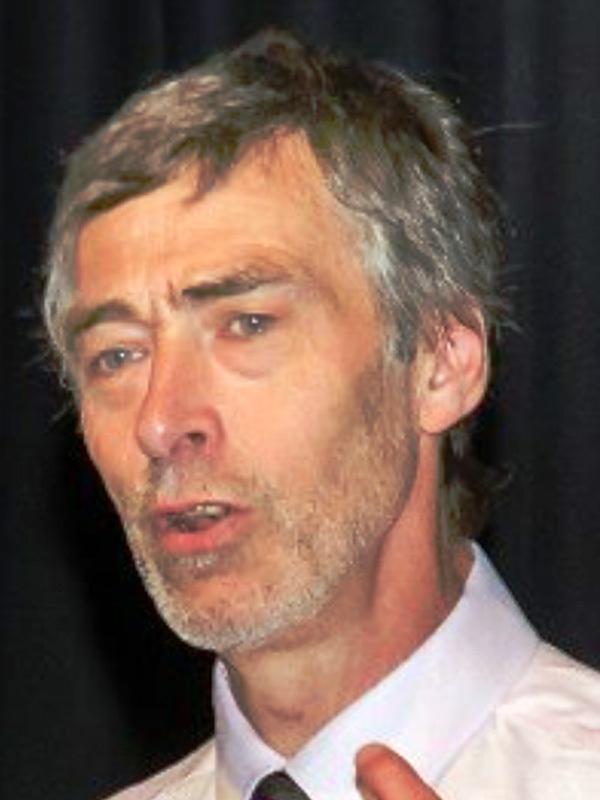 David has been Chief Executive of National Star since August 2010. He has worked in the voluntary sector for 30 years, both overseas (Sudan) & in the UK, during which time he gained valuable experience working in the disability field with a number of charities that were focusing on the development of technology to improve individuals’ communications & control of their environment. David was Chief Executive for CLIC – Cancer & Leukaemia in Childhood (2001-2006), during which time he merged CLIC with its sister charity Sargent Cancer Care for Children after which he earned the appointment as CEO for the merged charity, CLICSargent. Other charities David has worked for at a senior level have included Guide Dogs for the Blind, The National Trust & the British Red Cross. Nigel is Chief Executive at the Local Government & Social Care Ombudsman, undertaking independent investigations of councils & care providers. Previously he was in charge of National Inspection at CQC & at the Healthcare Commission, for leading high profile investigations into NHS failures including high mortality rates at Mid Staffs NHS Trust, abuse of people with learning disabilities at Cornwall Partnership Trust, & the failure of services to Peter Connolly (‘Baby P’) in Haringey. Nigel also worked in different roles in the voluntary sector, as a Parliamentary lobbyist & consumer rights researcher. Until May 2018 Nigel was one of Her Majesty’s Inspectors for further education & skills & the national lead for learners with high needs. He wrote the survey report Moving Forward on the implementation of the Children & Families Act. Before becoming an inspector Nigel had extensive experience in further education where he developed & managed a range of innovative programmes for learners with learning difficulties & disabilities, young people excluded from schools, adults with mental health difficulties & people returning to, or entering employment. Nigel is now a freelance consultant & able to spend more time on his other interests, cycling & jazz music. Tom is a Senior occupational therapist who has been a member of the National Star occupational therapy team for the past two academic years. Prior to this Tom worked as an occupational therapist in the field of learning disabilities & in the acute medical setting. Since joining the National Star team, Tom has taken a particular interest in assessing functional vision & supporting visual engagement in the academic & wider college environment. George has spent the past 15 years campaigning for the rights of disabled people across the UK. He is a founding member of the #IWill campaign, which promotes social action among 10-20-year-olds. 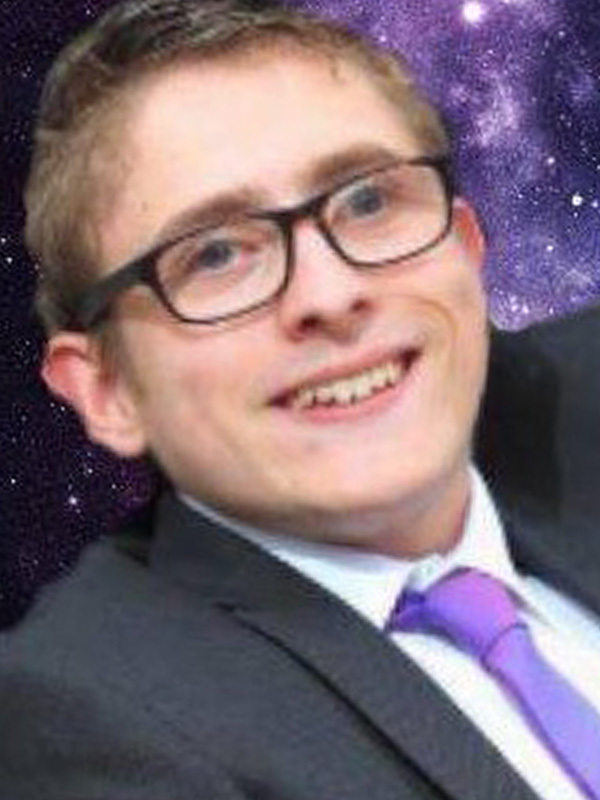 In 2014, aged 19, George was awarded the British Empire Medal in the Queen’s New Year’s Honours List for services to disabled people. 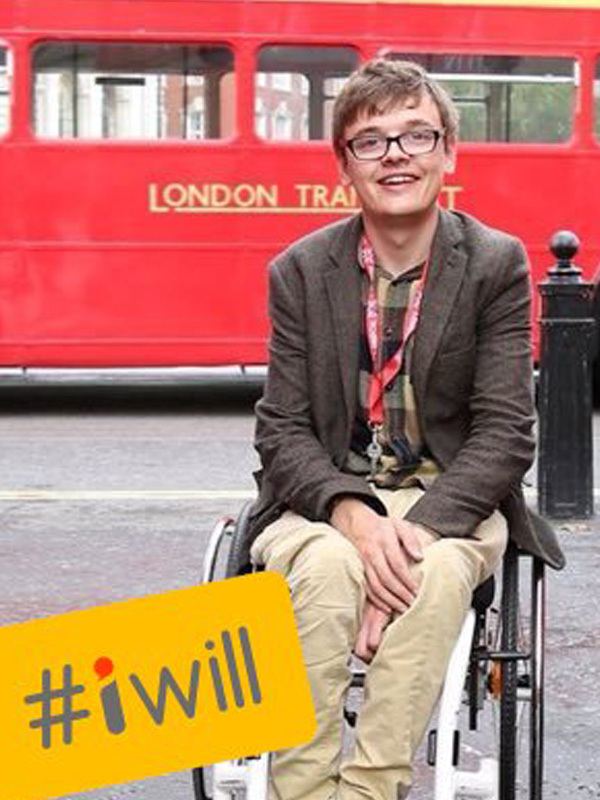 He achieved this after becoming the first wheelchair user to complete his Bronze Duke of Edinburgh Award & leading the youth engagement strategy as the chair of the board of Young Trustees at Whizz-Kidz. Resolute in his passion for inclusion, integration & equal opportunity in 2017 George co-founded Adjuvo a national support & care provider. 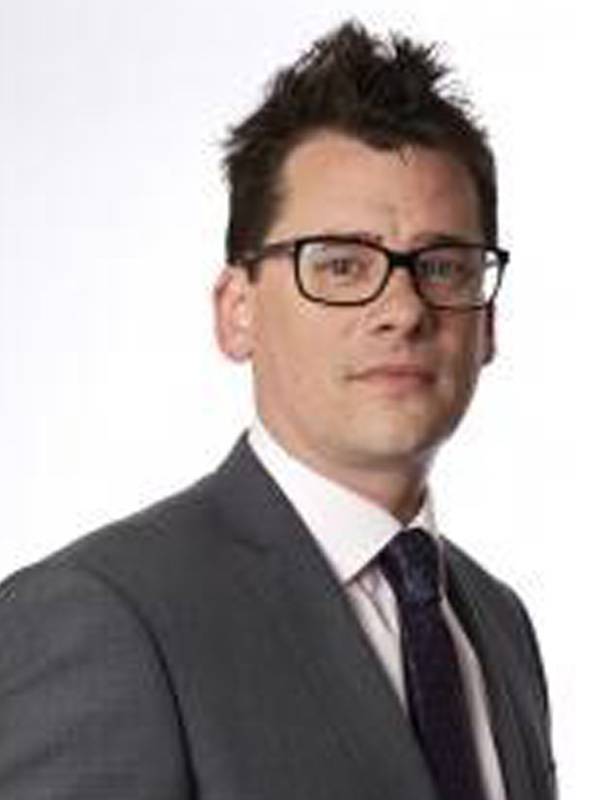 At Adjuvo he has the pleasure of acting as their partnerships & personalisation director, principally fighting for high quality accessible housing & a new approach to support work. 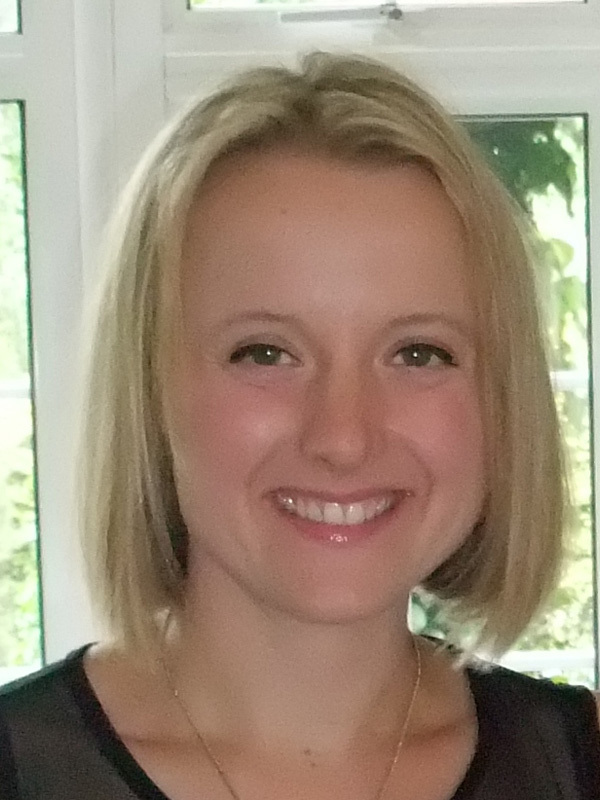 Verity is the physiotherapy manager at National Star where she has worked since 2012. 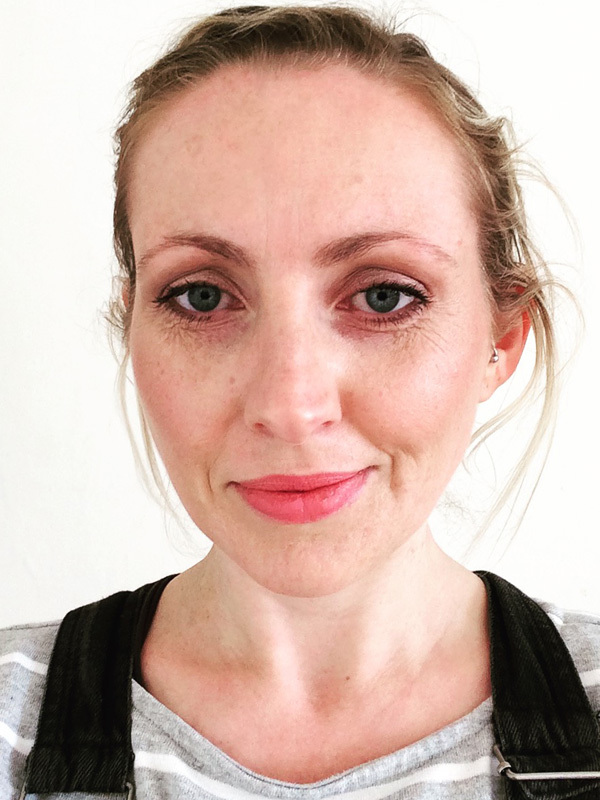 Previously an NHS physiotherapist with a particular interest in neurology & respiratory care, including intensive care, Verity has developed her specialism within neurology, particularly with acquired brain injury (ABI). Involved with the All-Party Parliamentary Group examining ABI provision, Verity also links with the Postural Care National working group aiming for a standardised strategy for those with profound & multiple learning difficulties. 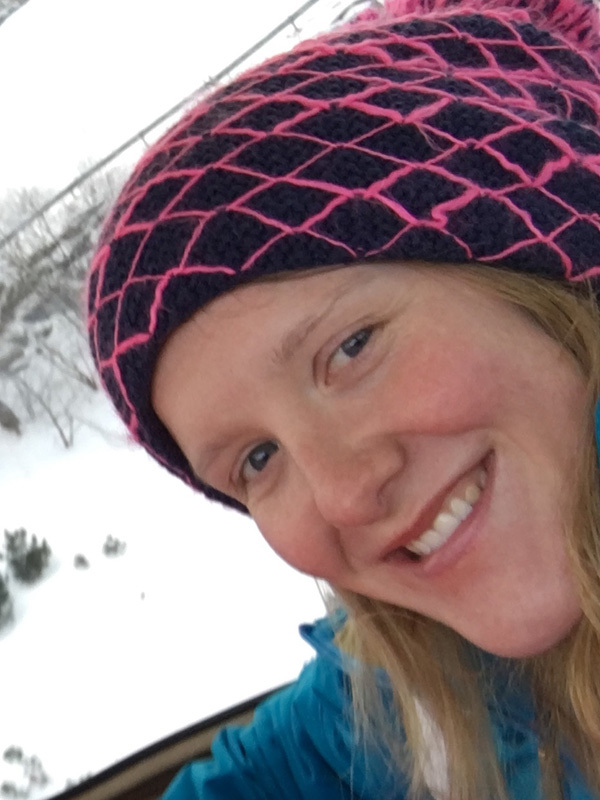 An outdoor enthusiast, Verity leads National Star activity trips including having initiated skiing. Since 2016, she has run annual ski trips with over 50 students having experienced the freedom of skiing with this year’s group being joined on the slopes by BBC Breakfast. Students implement skills learnt, in physiotherapy & the wider college, in a refreshingly different environment. Rachel has been working as a specialist autism spectrum condition (ASC) tutor at National Star since 2012 & as a senior ASC tutor since 2017. She has 25 years’ experience in working with adults with learning disabilities both in the care & learning sector & also as a psychodynamic counsellor. The young adults that she teaches at National Star have autism with associated learning disabilities & this informs the style & content of her teaching practice. This consists of adhering to a clear structure & routine within sessions, maintaining an environment that reduces sensory overload & allows the students the time they need to process & respond to communication. Max is an actor & Youtuber. He makes videos to try & make people’s lives better & to make people smile. He started acting in 2009 doing some small shows to big shows. In 2015 he appeared on Holby City & then went on to film in Doctors & starred in the National Autistic Campaign video called Too Much Information – Could you stand the Rejection. Max has Aspergers & holds this campaign close to his heart. He also does public speaking as he likes to share stories about his experiences with Aspergers. Max works full-time in IT & also won Apprentice of the Year 2016. He has been on Youtube since 2009. MaxiBlog was created August 3rd 2013. 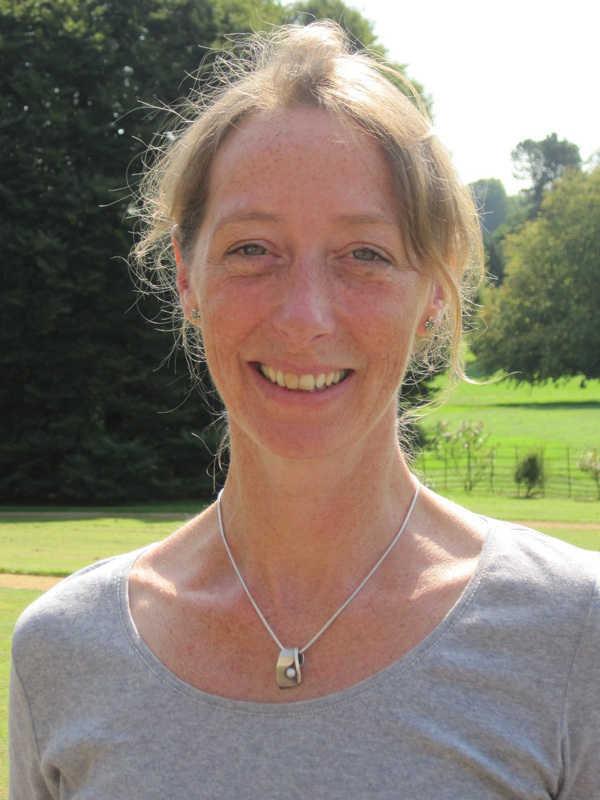 Mary is Head of Evidence for I CAN, the national children’s communication charity. She has responsibility for ensuring I CAN runs high quality programmes of work with evidence of impact. 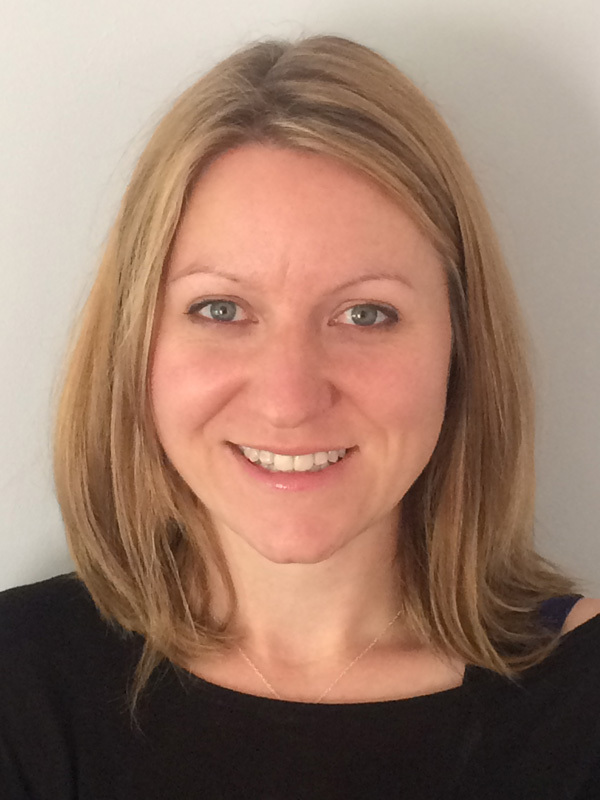 She is a specialist speech & language therapist with many years’ experience of working in education – both as a practitioner & manager. She has authored many of I CAN’s discussion papers, notably The Cost to the nation of Children’s Poor Communication. Mary is leading Bercow: Ten Years On – a national review of provision for children & young people with speech, language & communication needs (SLCN), published March 2018.
the University of Wolverhampton, as well as being deputy editor of ‘Pedagogy In Practice’ & co-founder of ResearchSEND. 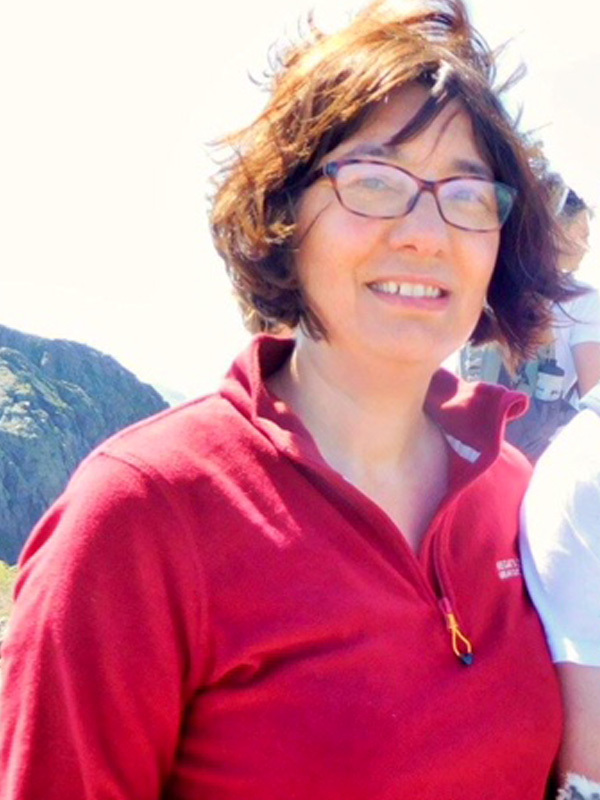 Michelle has a wide range of experience in the SEND sector, undertaking roles such as head of a SEND support service, deputy headteacher, EY SEND advisory teacher, teacher in charge of a dyslexia centre, lead teacher in an EY Enhanced SEND provision & SENCO. Michelle continues to work with Schools to enhance SEND provision through her lead role for the development & execution of SEND strategy for the 17 schools which make up the University of Wolverhampton’s Multi Academy Trust. 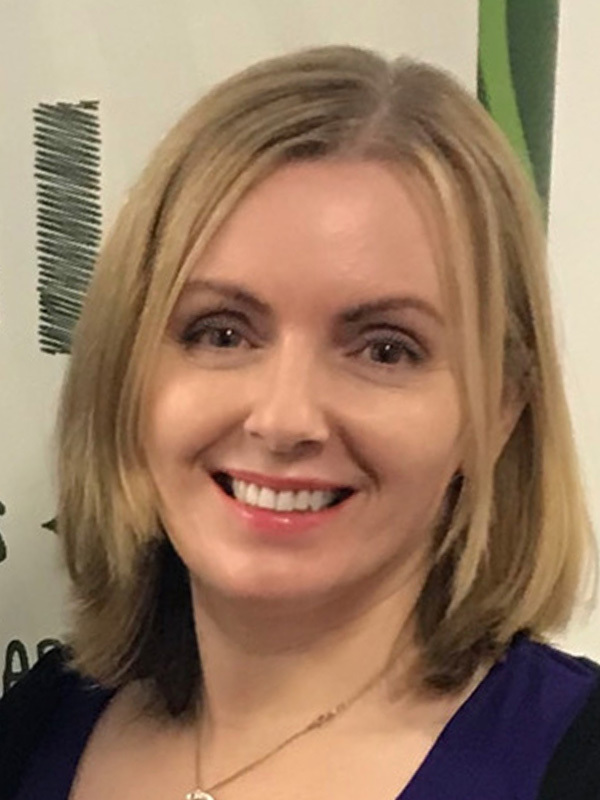 Michelle’s research interests include the leadership & management of SEND, supporting SEND in ITE & learners experiencing literacy difficulties. 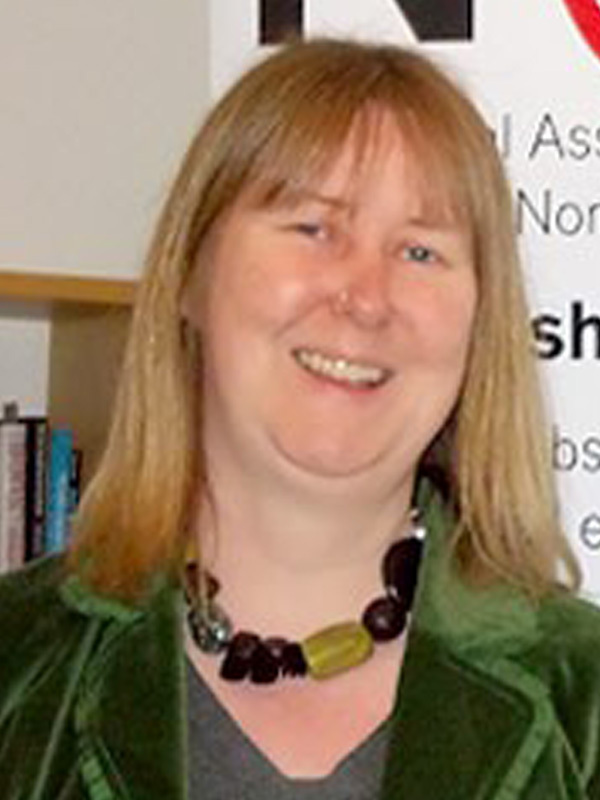 Anne is an Education Policy Advisor at the National Education Union, & leads work on SEND, curriculum & assessment within the Association of Teachers & Lecturers (ATL) section of the union. Whilst at ATL Anne has undertaken several research projects exploring the implementation of the SEND Code of Practice & the impact on the school workforce. 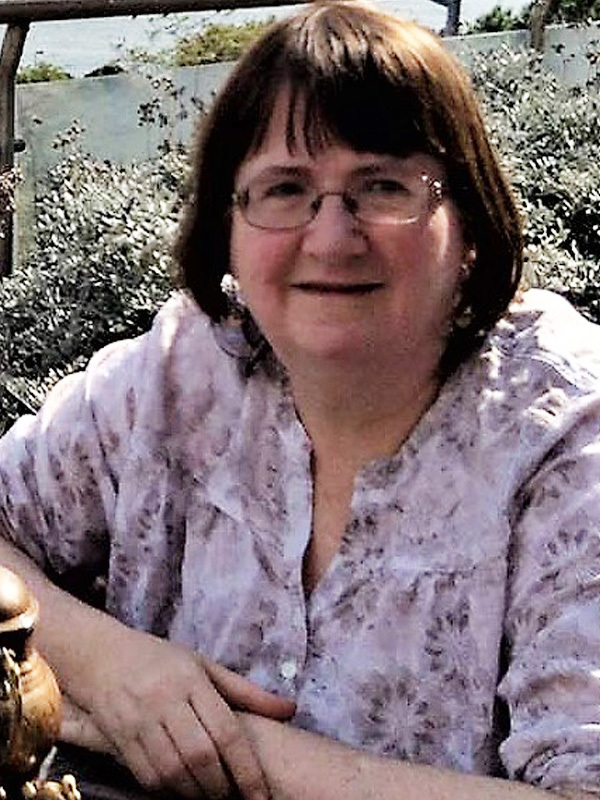 Prior to joining ATL Anne worked as a secondary school music teacher & head of department in North London & Nottinghamshire. 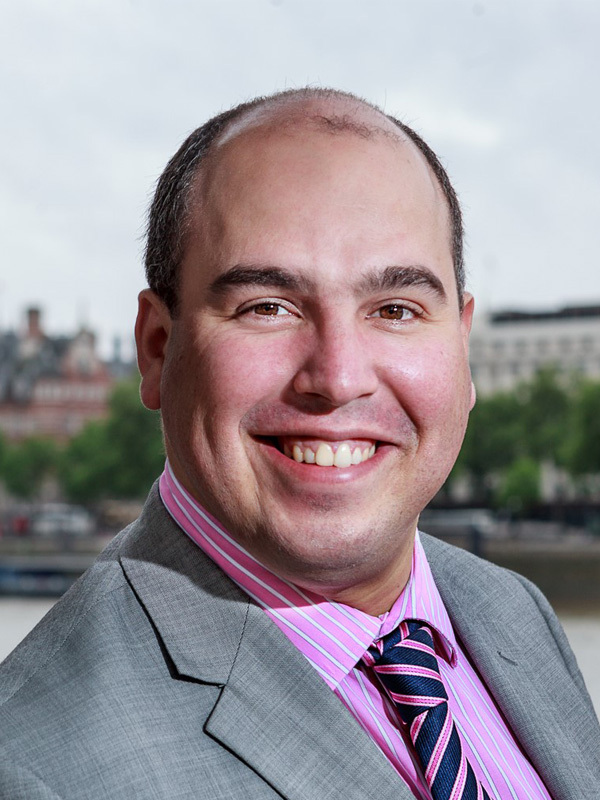 Since April 2010, André has worked as the Department for Education SEN & Disability professional advisor, contributing to a range of policy developments, in particular the Children & Families Act. André has been a teacher & educational psychologist & held a number of practitioner & leadership roles in local authorities. He was a regional SEN director for the National Strategies SEN advisor team & was an advisor to the Lamb Inquiry into parental confidence. George hates trying to sum herself up in 100 words. 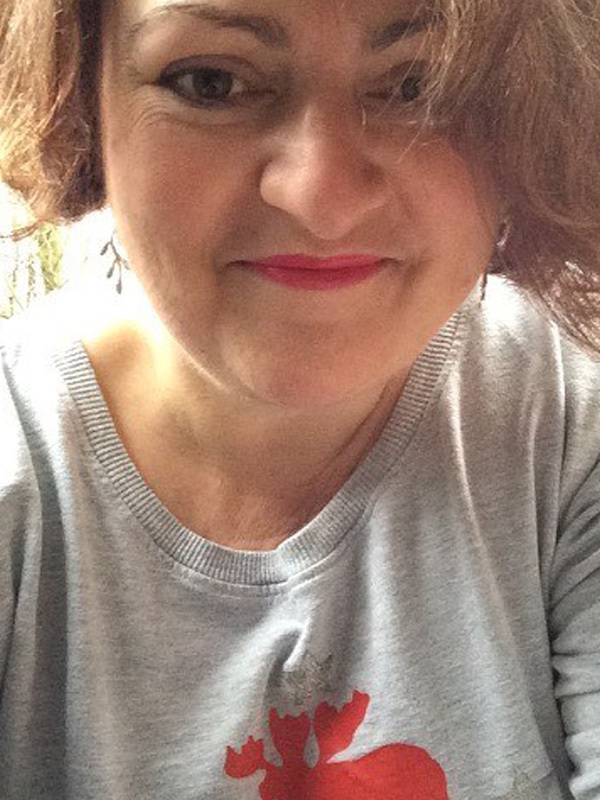 She’s part blogger, tweeter @GeorgeJulian, researcher, online activist #JusticeforLB & offline craftivist. 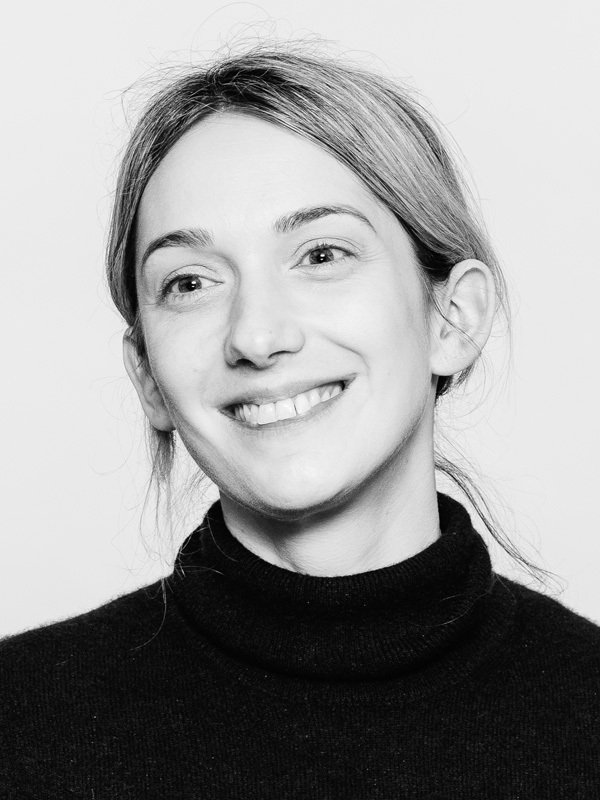 She is a freelance knowledge transfer consultant, an advocate supporting bereaved families, Visiting Fellow at LSE, a trainee death doula & a 2017 Winston Churchill Memorial Trust Fellow. Growing up George wanted to be a special education teacher or a Blue Peter presenter. She achieved neither but has a degree in education & a PhD in profound & multiple learning disability. She is deeply committed to #OpenJustice & live tweeted the inquests of Connor Sparrowhawk & Richard Handley. 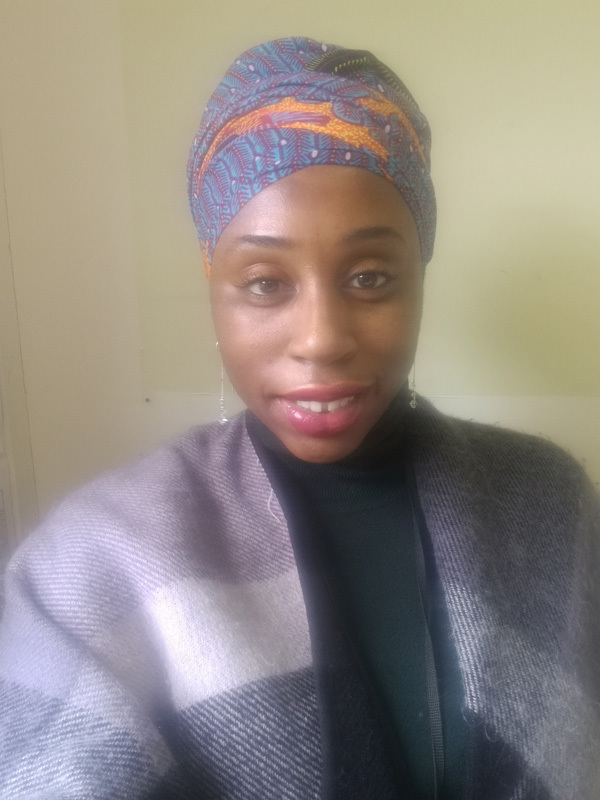 Dannii is a specialist speech & language therapist at National Star, working with students with profound & multiple learning disabilities & autistic spectrum disorder. She has been heavily involved in developing the embedded practice initiative, recognising the importance of contextual therapy & role modelling of communication support strategies, to maximise functional skill development for learners with complex needs. Most recently, Dannii has completed the Bricks for Autism training course to become a Lego-based therapy practitioner. Using her clinical experience of adapting therapeutic approaches to ensure accessibility for more complex learners, this social communication intervention is demonstrating positive outcomes for individuals with a range of needs, including sensory processing & behavioural difficulties. 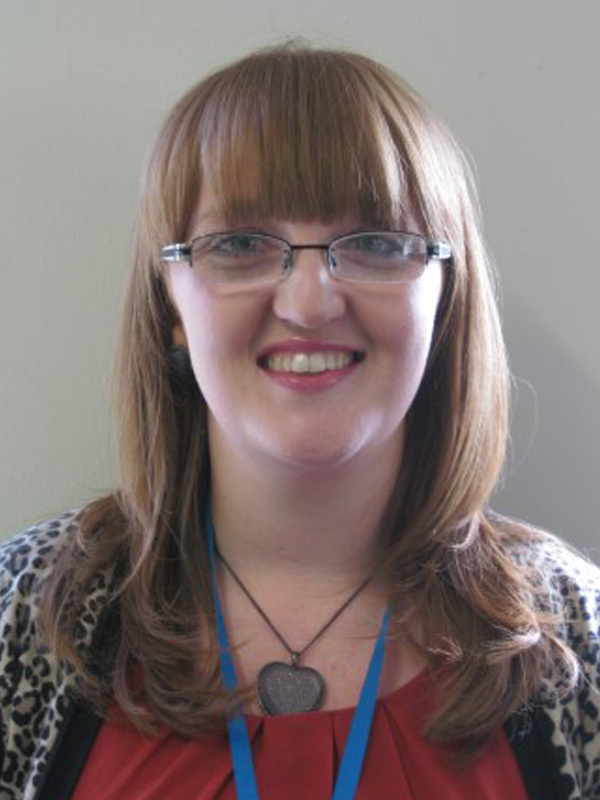 Having worked at National Star since 2013, Dannii now co-ordinates the speech & language therapy team. Rhena is currently the Post 16 team lead/manager at Leeds local authority in the SEND team. Her background includes a degree & masters in economics, a stint in the private sector before spending several years in management at the local careers service. She has led on key areas of change from the Children & Families Act 2014 with her main area of responsibility being the post 16/19 – 25 cohort. 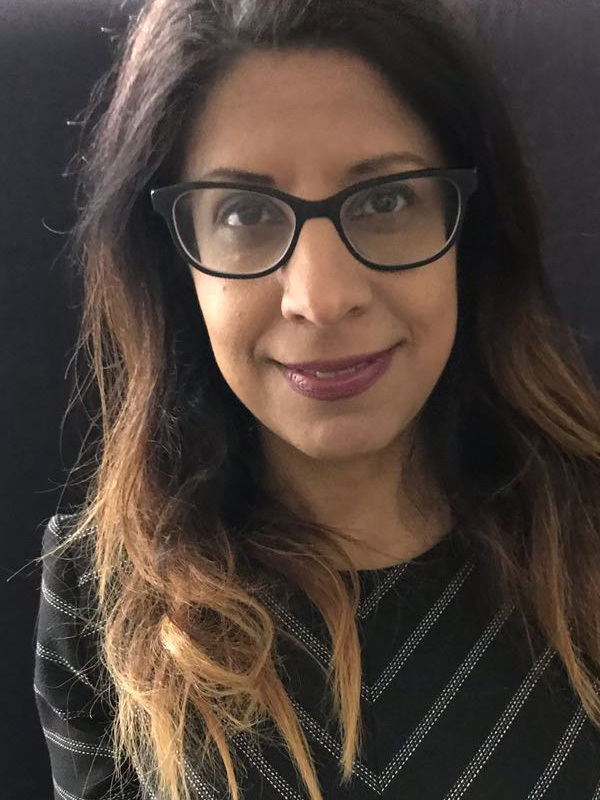 Rhena has experience of key partnership working & is focussed on developing this work to ensure successful outcomes for these young people/adults. She has also been key in the Preparation for Adulthood agenda for Leeds which has included the initial pilot & roll-out of supported internships. 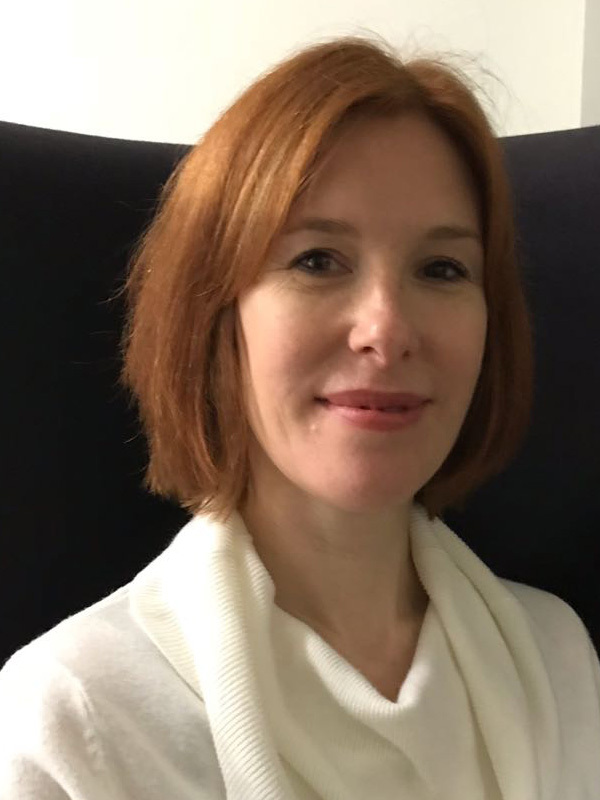 Bethlyn has spent 10 years working within local authorities, predominately in education (non-teaching) & policy & research & spent six years as a senior management consultant specialising in education & children’s services. She is a parent of three children, the eldest of whom has a variety of diagnoses & who has attended eight educational primary placements covering mainstream, special school, ASD unit within mainstream & home education. 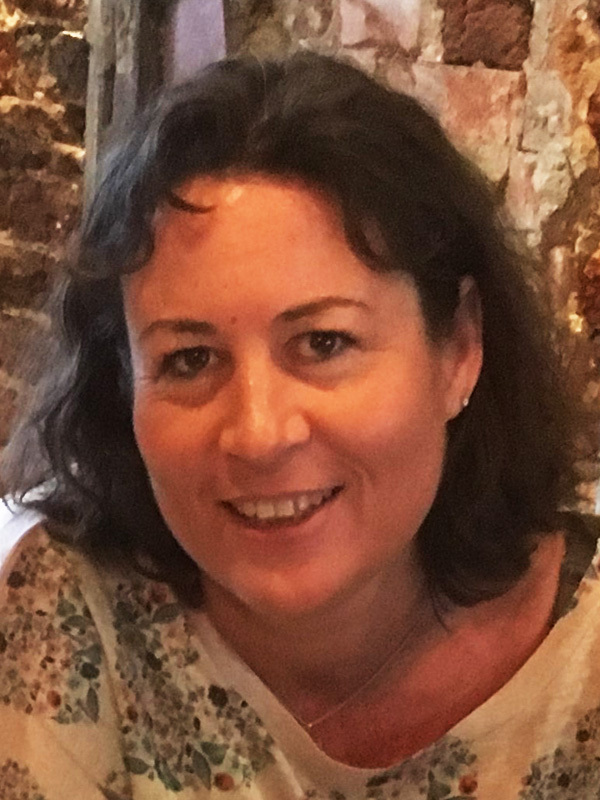 Bethlyn is the SEND link parent-governor of a large primary academy & teaching school with ASD unit & the inclusion trustee of an academy chain. Simon has around 20 years’ experience of working with children with SLD & PMLD & has held a number of roles in the area for special education. He has sat on the Department for Education panels developing both the Professional Standards for Teaching Assistants & the Standard for Teachers’ Professional Development. 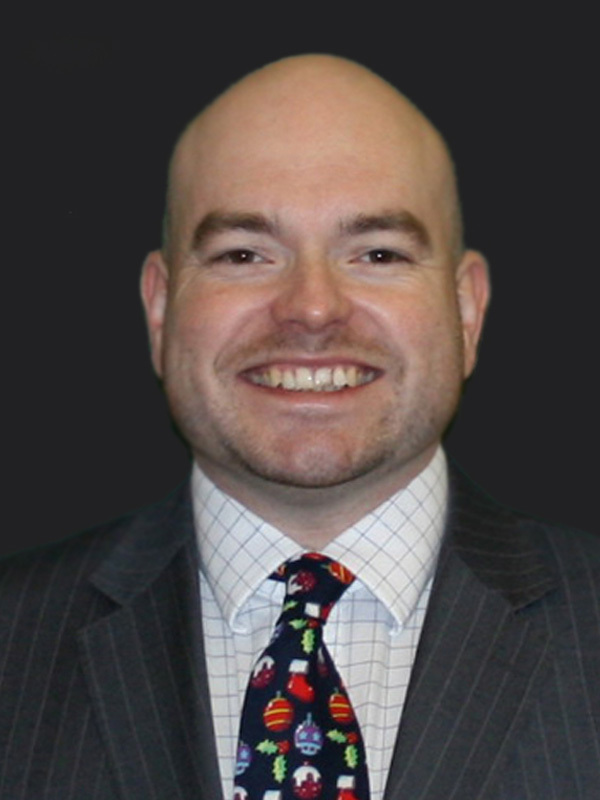 He has been published in SLD Experience, Teach SENCO, has written chapters in books & writes features for the TES. He regularly contributes comment & content to other publications & conferences & can be found tweeting as @simonknight100. 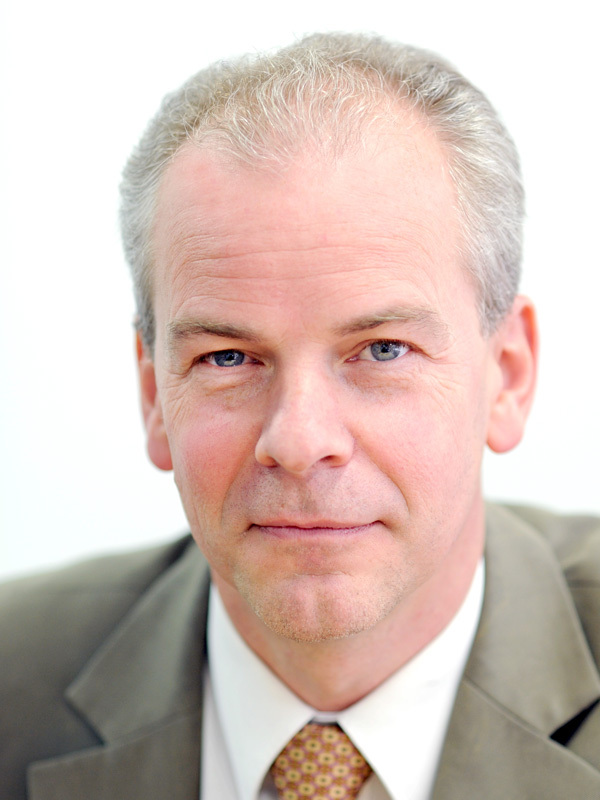 He is currently the director of Whole School SEND, a consortium of organisations committed to enhancing the quality of education for learners with SEND. Julie has been a governor within a special school since 2006. In 2015 she became a National Leader of Governance. 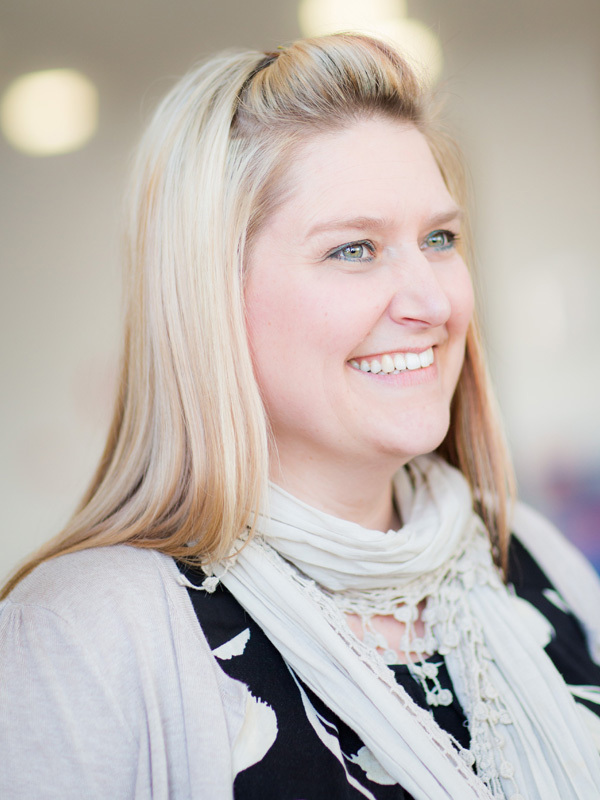 Julie is currently deployed providing governance leadership to a primary school with a large cohort of SEND learners. 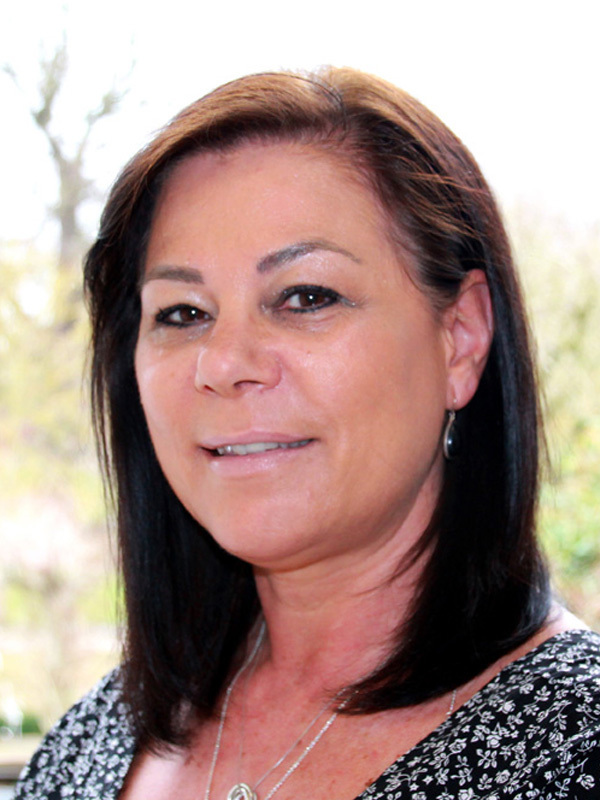 Since 2008 Julie has been a member of the overview & scrutiny committee for children & learning in the local authority, representing special schools, contributing to strategic policy decisions about education within the borough. In 2017 she was elected to the board of the Havering Academy of Education Leadership. Julie is mum to Tom, 20, who has Fragile X Syndrome, complex learning disabilities & autism. Wendy has worked as a speech & language therapist for over 30 years, in clinical practice, as a senior lecturer & in the third sector. 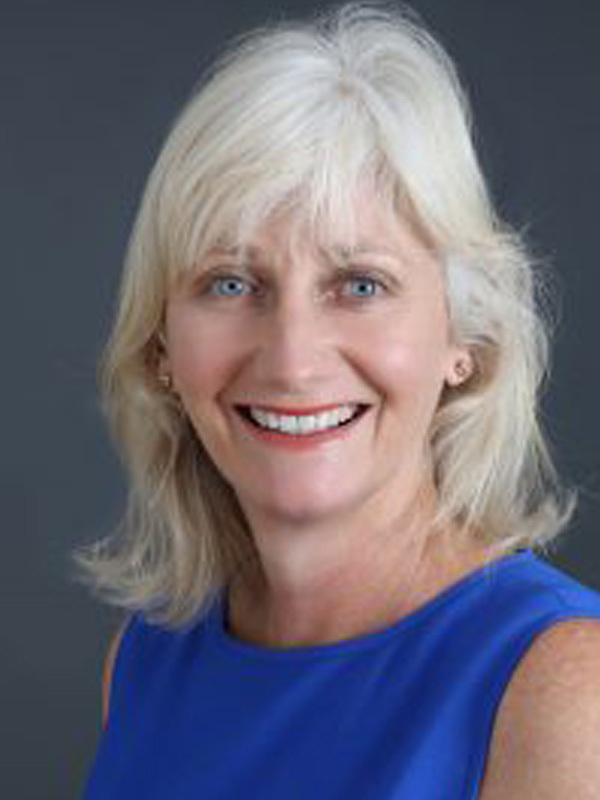 She was a professional advisor at I CAN & professional director at The Communication Trust until 2015 where she led on a number of projects to develop & share interventions, information & resources, as well as inputting on national policy & research. 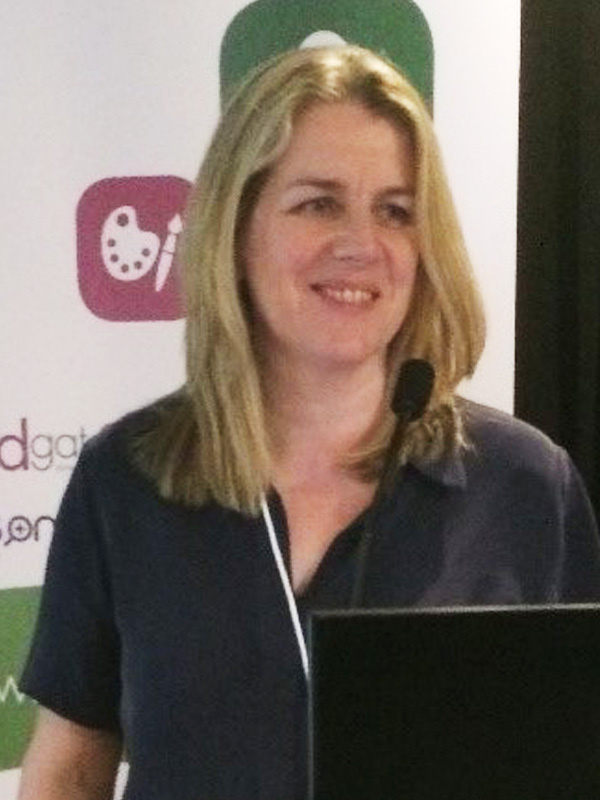 Wendy is currently the Director of Lingo, an organisation that provides consultancy, practical resources, professional development & speech & language therapy to schools & settings. 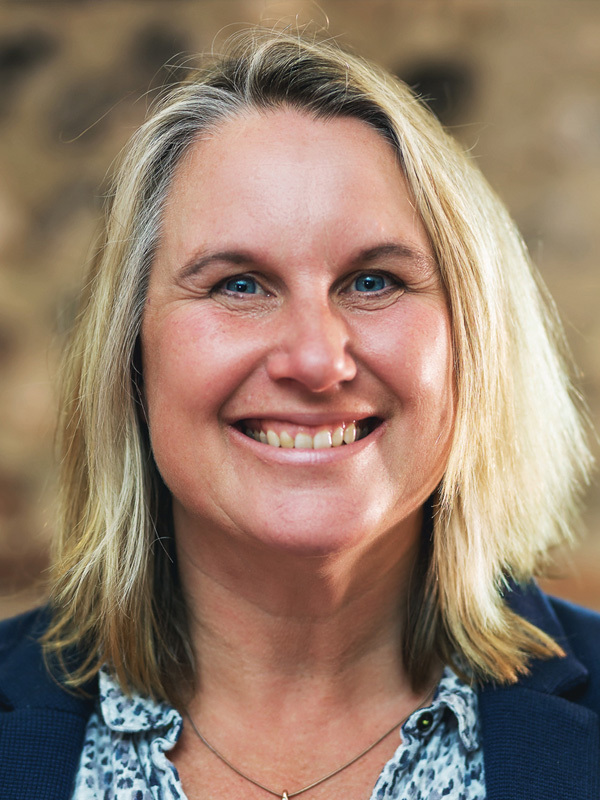 Wendy also enjoys working in partnership with local & national organisations such as I CAN & the Royal College of Speech & Language Therapists, Cambridge University, Driver Youth Trust & The Communication Trust on all things speech, language & communication. 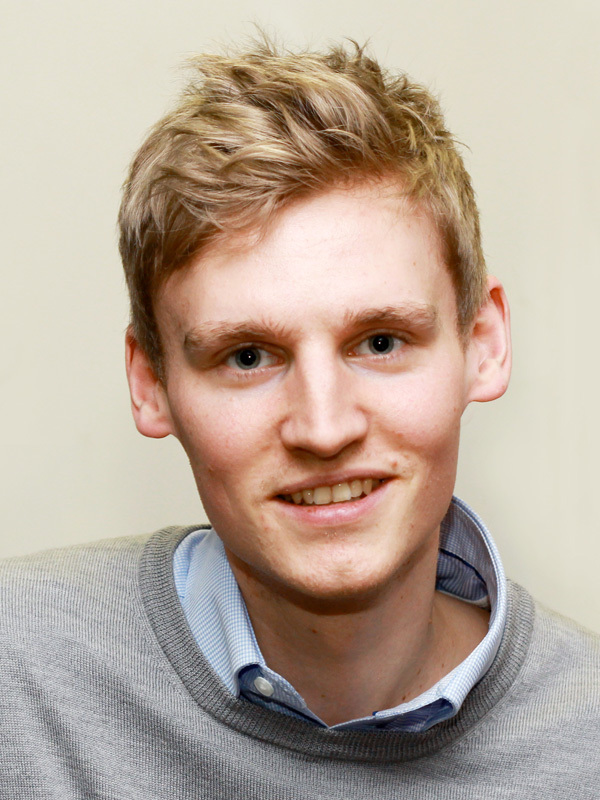 Will is a senior associate at LKMco – the education & youth ‘think & action-tank’ – where he has led research into a wide range of issues including assessment, enterprise education & oracy. Will has also conducted evaluations for organisations including Arts Council England & Researchers in Schools & presented at events & conferences across the UK. He began his career as an English teacher at a large secondary school in North West London & then worked at a national support service for school leaders & governors. Will has visited schools around the world, has two master’s degrees in public policy & lives in Hackney. has been the director of curriculum support (SENCO) at Priestnall School in Stockport since September 2002. During this time he has shaped provision not only at Priestnall but also in a number of other schools and local authorities across the UK, Ireland & Chile through research-based support, training & consultancy. Gareth also supports parents/carers with SEND legislation & provision. 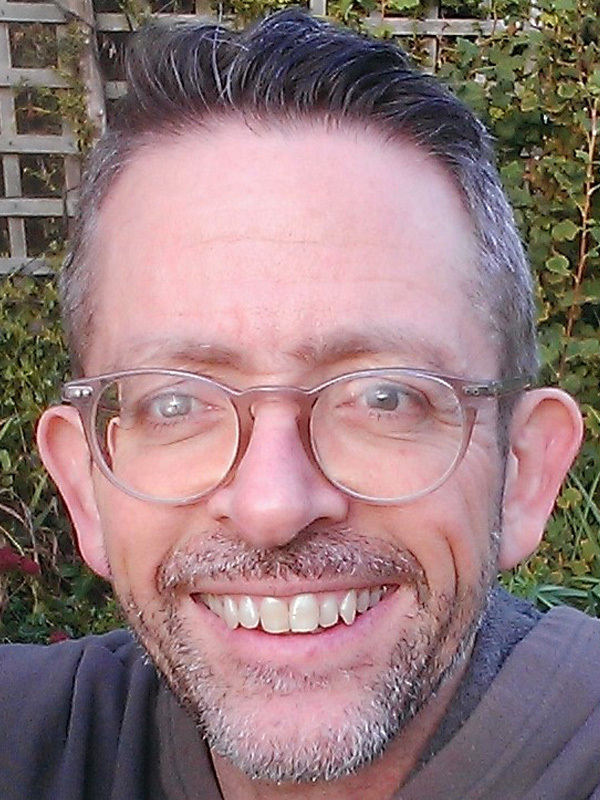 Gareth has written extensively on inclusive education & provision & regularly speaks at & chairs national conferences on provision for students with complex needs. He can be contacted via his website www.gdmorewood.com or email info@gdmorewood.com & tweets @gdmorewood. 2’ (2017) & ‘Language for Thinking’ (2nd edition, 2017). 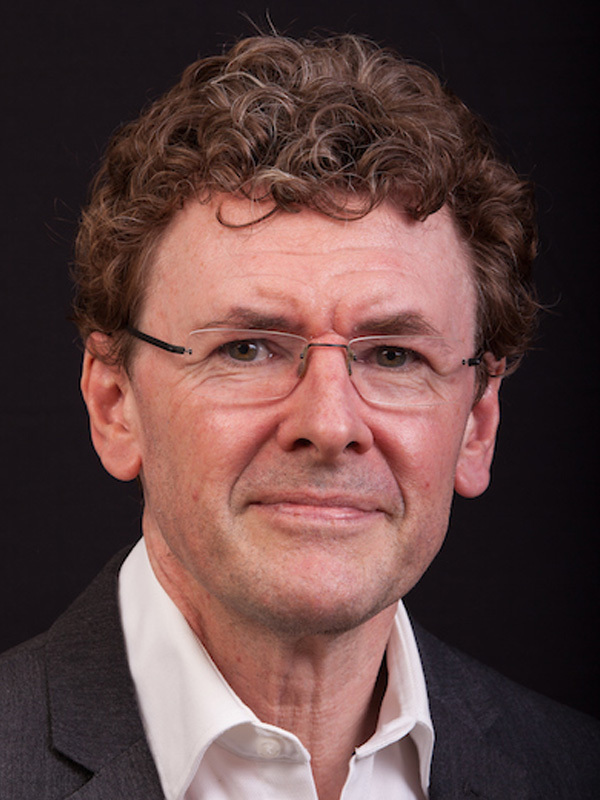 Since 2015 Stephen has been the chair of NAPLIC, the association for professionals supporting language (www.naplic.org.uk). Stephen is active on Twitter via @WordAware. is about the new 2018 census in Alternative Provision & SEND. defenddigitalme wants to stop the government giving away personal confidential data to companies, journalists, & others without consent, & start safer, fairer policy & practice. Do you know your rights, & can you help us make a difference? defenddigitalme was funded in 2017-18 by the Joseph Rowntree Reform Trust. ago when she worked as a learning support assistant in a school for pupils with complex needs. Inspired by this experience, she went on to study a degree in special educational needs & inclusive education. She is currently the manager of a Special Educational Needs & Disability Information Advice & Support Service (SENDIASS) in Newham. She has conducted small-scale research focusing on the role of learning support assistants in special schools & the challenges/implications of managing challenging behaviour for staff & pupils. She has also written for Special Needs Jungle on the topic of parent participation in decisions being made about their children & young people. Award-winning writer & actress Sally Phillips is well known for her roles in Smack the Pony, Miranda & the Bridget Jones trilogy. Sally also fronted a BBC documentary titled, A World Without Down’s Syndrome?, in which Sally wades into the emotionally-charged debate about a new screening test that is said to detect Down’s Syndrome in 99% of pregnancies & explores what effect the test could have on our society. A World Without Down’s Syndrome has been screened around the world, sparking debate & similar documentaries in many other countries. Suzanne graduated as an occupational therapist (OT). in 2003 & has worked in a range of physical & mental health settings from community & acute mental health services, burns & plastic, orthopaedics to hand therapy. Suzanne is her tenth year working at National Star specialising in working with individuals with complex learning & physical disabilities. Suzanne became interested in the assessment of visual impairment after attending lectures by Christine Roman-Lantzy who discussed cortical visual impairment & explained how to assess for this condition with individuals with complex disabilities. The OT team now uses this assessment tool & uses some of these strategies to support students in different learning environments. Josh is on a mission to change people’s perspectives about disability. The disability rights campaigner earned his spurs by starting his own campaign – Don’t Call Me Special – whilst he was a student at National Star College in Cheltenham. He plans to target schools in the UK & abroad, talking to non-disabled pupils & staff with the aim of challenging & informing their ideas of what disability means. In 2018 he led the youth forum at the I Am Able conference in Antigua, which saw people from across the world discuss topics including access to education, employment & health. He is known for confronting people’s vocabulary & views. 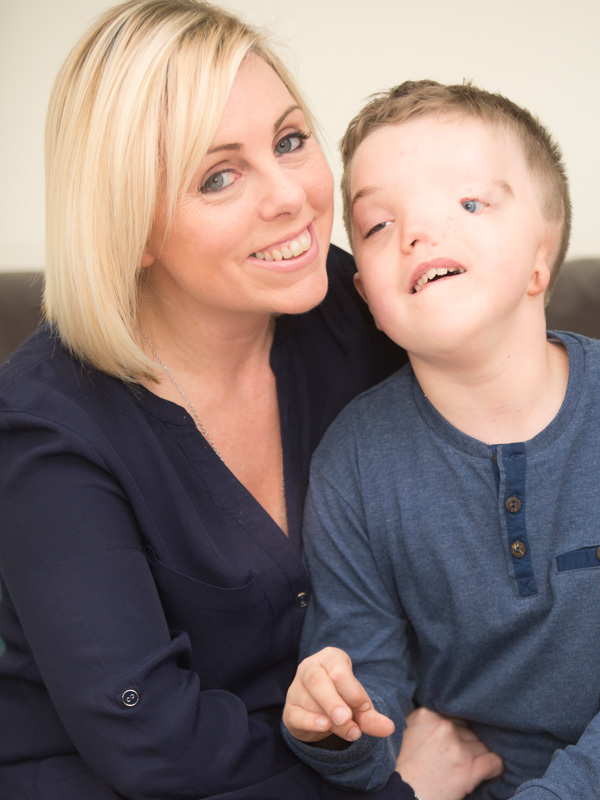 Josh, who has cerebral palsy, also starred in the BBC 3 documentary, ‘The Unbreakables’, which was filmed at National Star. 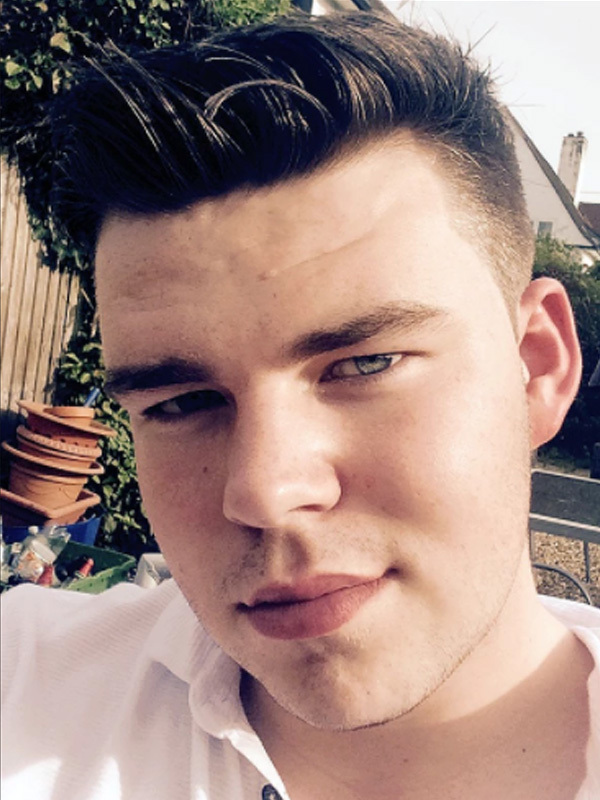 Josh is currently studying media at Cardiff & Vale College. 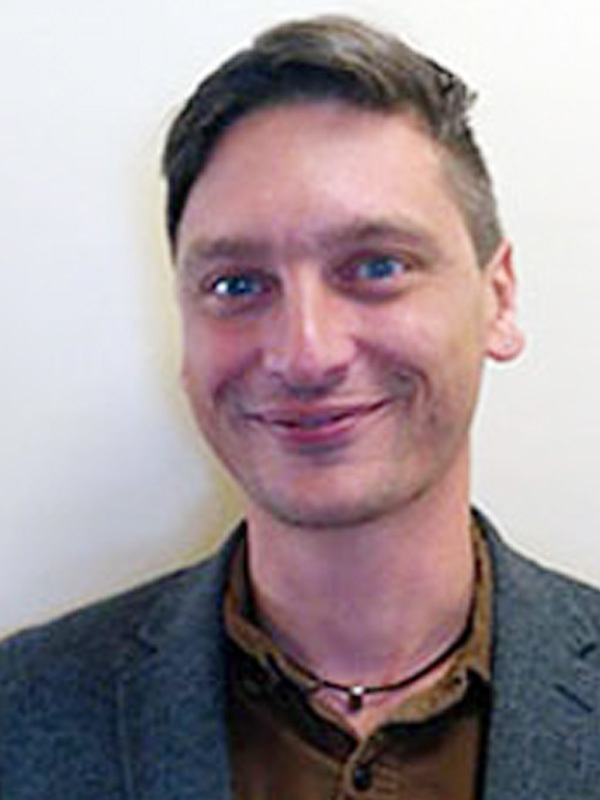 Jon (MSc Oxon, PCTHE, PGDES, PGCE, BA (Hons), MBPsS, FHEA), joined Oxford Brookes University as senior lecturer in SEN/Inclusion following a teaching career in both primary & secondary education. During his mainstream educational experiences, Jon developed an interest in supporting pupils with additional learning needs. Subsequently, he spent time teaching in a therapeutic residential school catering for pupils who had experienced severe emotional trauma due to the accumulation of adverse experiences in infancy & early childhood. He later became the deputy headteacher of an independent secondary social, emotional & mental health school that specialised in supporting pupils with complex educational needs, communication difficulties & challenging behaviours. Bob has over 30 years’ experience in the voluntary sector in England & internationally. Prior to his appointment at I CAN, he was chief executive of Essex Community Foundation & chief executive of The Children’s Society. 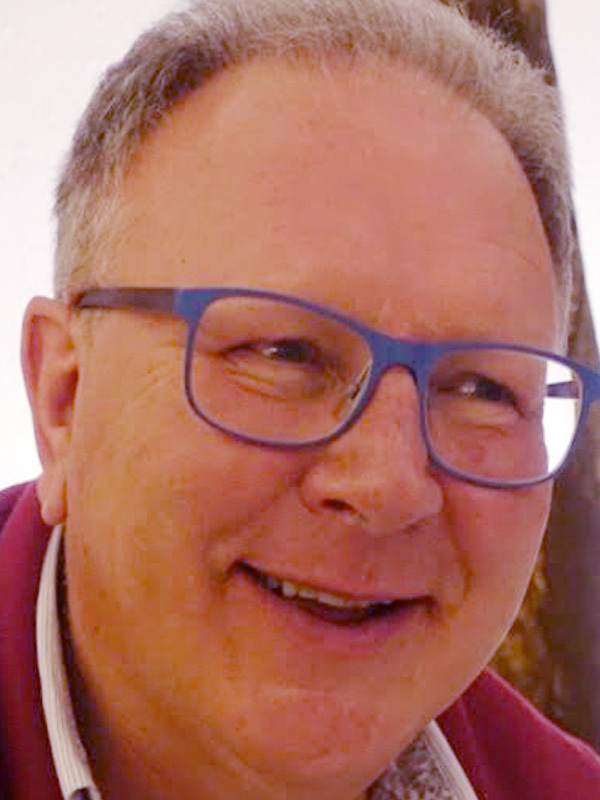 Internationally, Bob started his career as a secondary school teacher in Zaire, followed by posts as country director for Volunteers in Technical Assistance (VITA) in Chad & country director for ActionAid in Bangladesh. He settled in England in 1994. Bob has a son with autism & has personal experience of navigating the challenges of the special educational needs system. Bob has served on several national boards supporting children & young people, including The Youth Justice Board, the Social Work Task Force, the Children’s Workforce Development Council & as chairman of Children England. He received a CBE for services to children in 2012. Sarah has worked extensively in learning support & specific educational needs for more than a decade. She has a passion for diversity & inclusion, drawing upon her experience as a secondary, further & higher education teacher to influence her approaches to person centred learning. In her role as disability services manager at the University of Wolverhampton, she led on the development of specialist staff contracts, considerate marking scheme & the inclusivity & accessibility of the student portal. In her most recent role, Sarah co-leads the inclusion development project within the Institute of Education & assists with ResearchSEND. 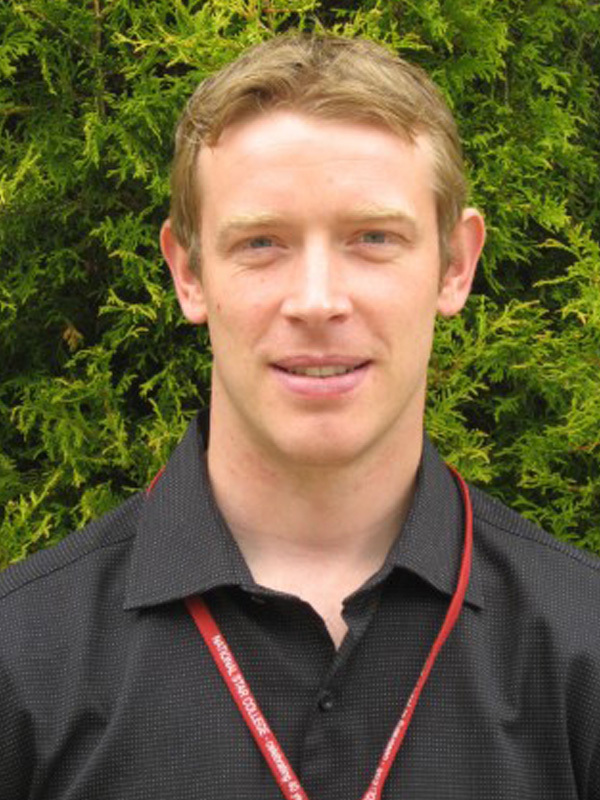 Chris is Driver Youth Trust’s (DYT) chief executive. Chris started his career training as an occupational psychologist (OP) & has experience of working in research, policy & as a practitioner. At first glance OP might not seem relevant to a career in education, however his expertise in training & professional development, & organisational systems are invaluable to what DYT does; it is these systems which are his particular area of interest in schools. The research & policy output of DYT is also part of his role, as well as overseeing the implementation of the charity’s strategy. Chris works alongside the DYT team & network of partners to ensure the design, delivery & development of projects, such as ‘Drive for Literacy’. 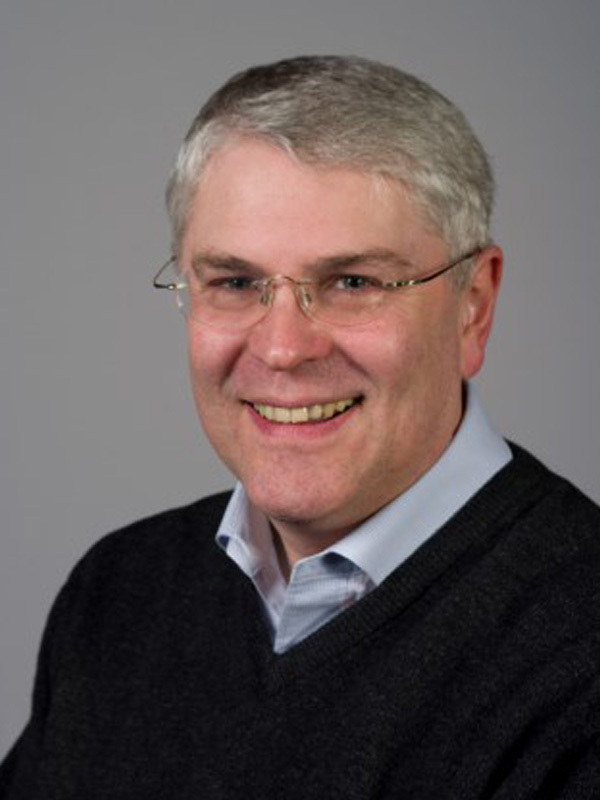 Aside from his DYT role, Chris is also governor at an infant school in Berkshire, a Fellow of the Royal Society of Arts, a member of the British Psychological Society & sits on the executive board of the Division of Occupational Psychology. 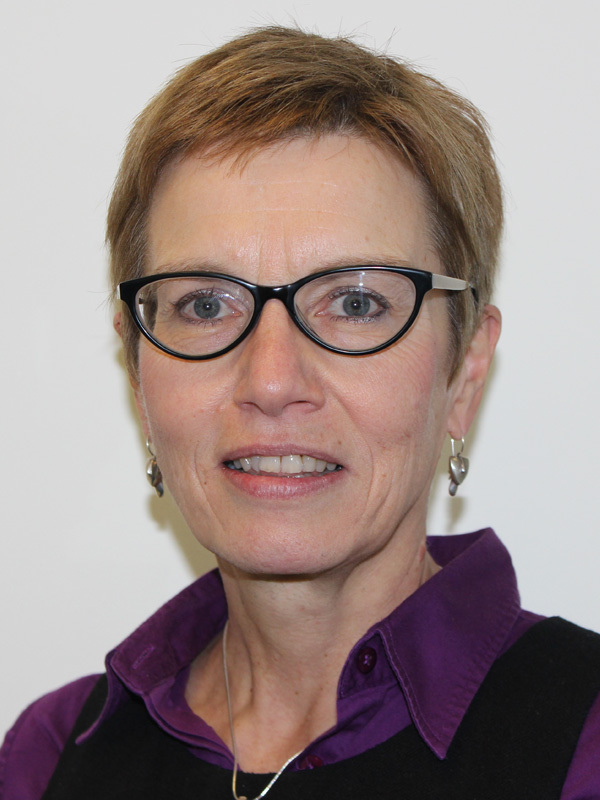 Caroline is director, language development department, Max Planck Institute for Psycholingiustics & co-director, ESRC LuCiD Centre, University of Liverpool. She is a researcher who studies how children learn to communicate with language, with a particular interest in grammar & in assessing how the child’s environment promotes & shapes language growth. Her first study into language development was a diary study in which she recorded every single question produced by her two-year-old daughter over a nine-month period. Nowadays her work is less time-consuming. Her recent book, ‘Understanding Child Language Acquisition’, is an introduction to the most important research on child language acquisition over the past 50 years, as well as to some of the most influential theories in the field. Kathryn has spent over 25 years working in partnership with young people with SEND, their families and friends. She is an Ofsted inspector, director of Natspec & is managing director of a group of schools and colleges across the UK. She is also privileged to have been principal at National Star. She received an OBE in 2014 for her services to further education for young adults with physical & learning disabilities & acquired brain injuries. at CDC & enjoys travelling around the country meeting incredibly hardworking people doing a sometimes challenging & isolating job very well. She hates unfairness & strongly believes that giving children, young people & their families good information & advice helps redress the balance. 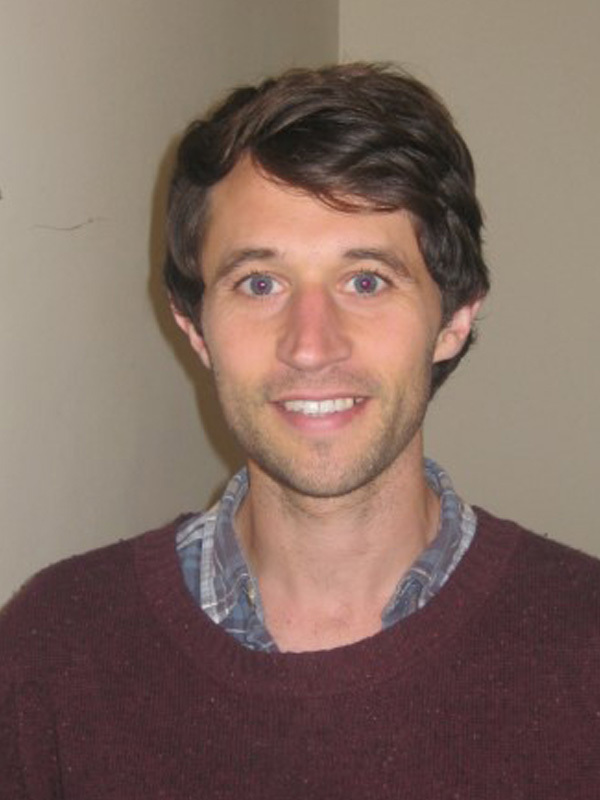 Bart is a Senior Associate at LKMco, a ‘think-&-action tank’ that seeks to ensure society helps all children & young people make a fulfilling transition to adulthood. He is also a qualified secondary school geography teacher, with experience of middle leadership, & a former civil service faststreamer. Bart’s career has blended policy, practice & research. His work has combined policy making at the heart of central government with teaching in a large mixed comprehensive school in rural Derbyshire. His recent work at LKMco has allowed him to develop his interest in the experiences of marginalised pupils, in particular those identified with Special Educational Needs & Disabilities (SEND). as assistant principal & formerly as the head of technology. He led the development of the integrated ‘technology team’ deploying assistive technology/IT systems. He has worked on organisational strategy, general management & led a number of national scale projects including the Jisc funded Dart Project. In 2014 Rohan completed an MSc in computing & communication systems at Lancaster University that focused on how home automation & internet of things technology can be made accessible to disabled people. Rohan is currently vice-chair of the Karten Network board. Alice started writing her blog over two years ago as a way of documenting her experience of trying to get adequate support & schooling for her son Jude through the council. From initial contact, she was shocked at the complexity of the process & how vague support lines within the council appeared to be. Two years on, she still regularly writes about similar situations but also their life as a whole family with Jude & his two sisters. Alice has published a book, ‘Living with A Jude’ & has a support group attached to her Facebook page, called LWAJ SEN Support Group. 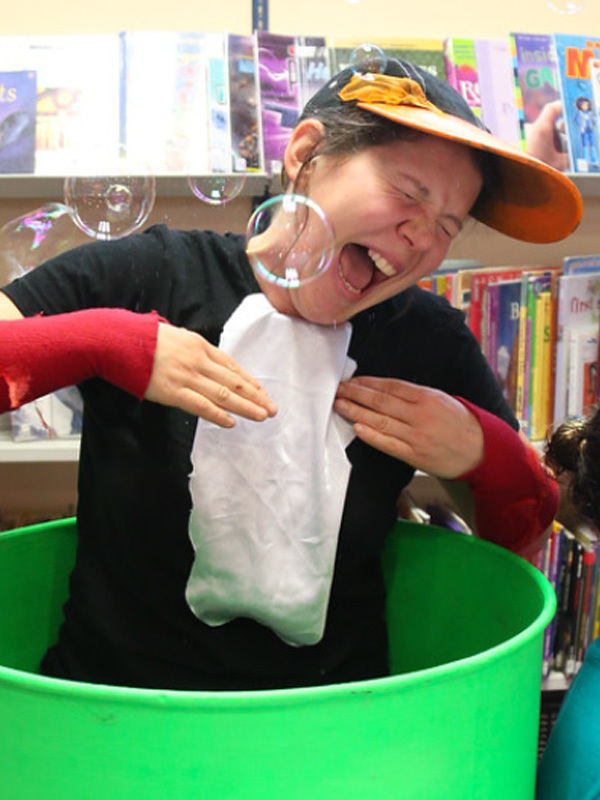 Storyworlds Life is a social enterprise committed to strengthening support around the child, young person or vulnerable adult so they can be healthy and happy. Our story based approach to learning brings together people who want to address an area of concern – individuals, families, practitioners, educators, policy-makers, voluntary sector and other stakeholders. Our tools and resources help them listen to one another, identify what’s important and agree on what needs to change. Sandra Smith trained as a midwife and has over 30 years’ experience within the NHS in clinical, education and strategic leadership roles. 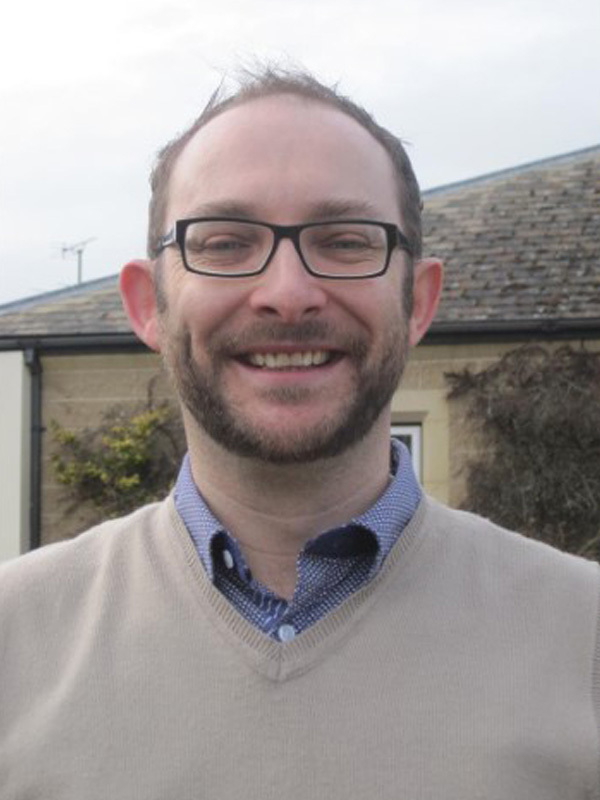 Michael is an education development officer with nasen & also editor of ‘nasen Connect’. His background is in primary education both in the UK & abroad. He has worked as a class teacher, SENCO & deputy head. Since beginning his career in education he has had a keen interest in SEN, ICT & equalities issues. From 2008, before joining nasen Michael worked on the leadership team of a local authority SEND advisory service which gave him the opportunity to broaden his experience in to early years & secondary. Tania is a journalist & the founder of Special Needs Jungle (SNJ), the influential SEND blog/website & registered non-profit organisation. SNJ publishes resources, news, opinion & information for people living or working with children & young people with special needs, disabilities & health conditions. She is the parent of two young autistic men & also has an autism diagnosis herself. 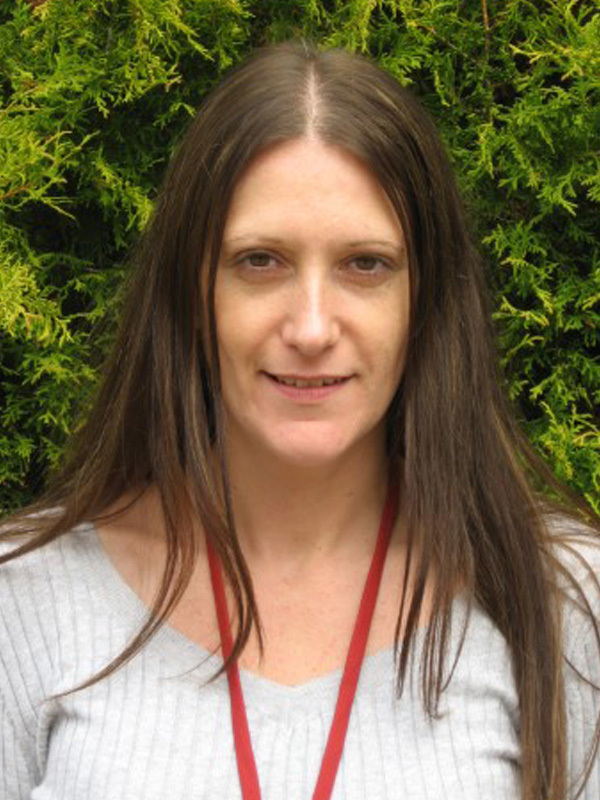 Tania is a member of the Ofsted LA SEND stakeholder advisory group. She is the author of three books & is also a social media expert working mainly with non- profits to help them leverage the power of social media for social good. of disability & dispels the notion of helplessness, but ensures its work reaches large & diverse audiences, no matter what barriers participants or artists may face. Simon is head of learning programmes at National Star. 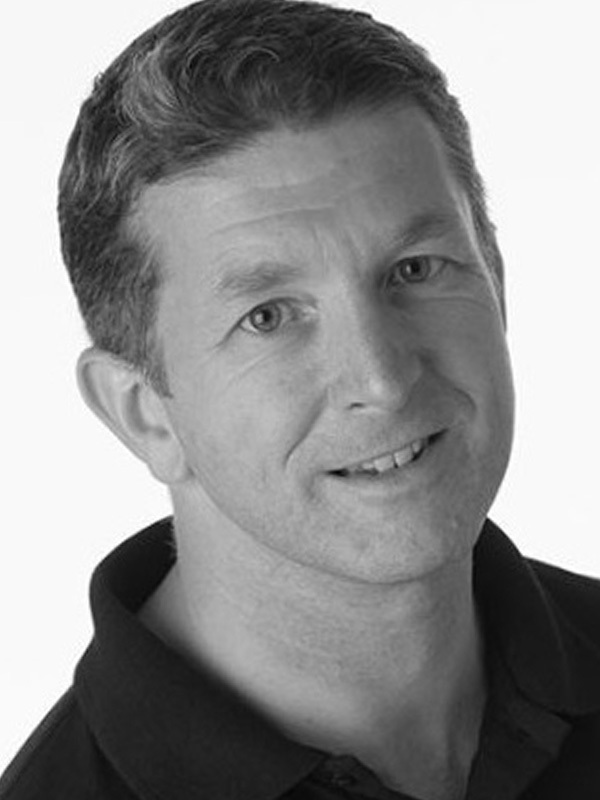 Having worked in the world of disability & special education for more than 17 years Simon has developed knowledge & experience in a range of setting & environments, with a particular area of focus on neurological motor disorders. 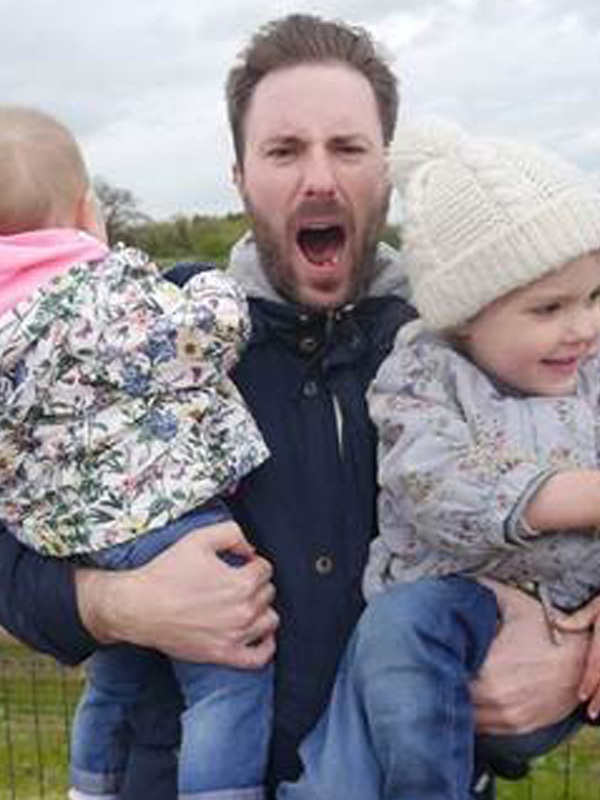 Simon completed a BA hons degree in Conductive Education, diploma in Teaching in Life Long Learning & holds an Early Years Professional Status. 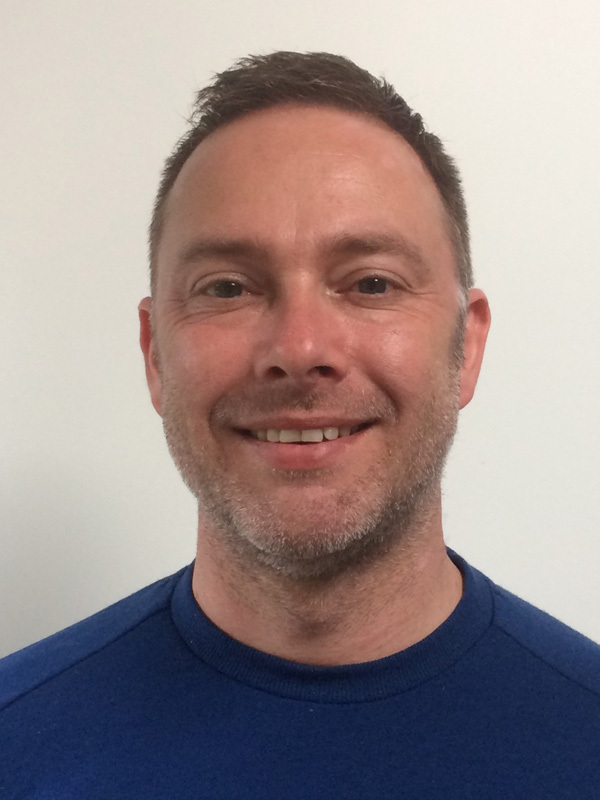 In his current role Simon has led on developing a greater integrated approach in relation to learning & therapy at National Star for learners with the most complex needs. Laura completed her undergraduate degree in Psychology & master’s degree in autism education at the University of Birmingham. She spent some time working in various roles with children, adolescents & adults with autism before going on to complete her doctoral training in Educational Psychology at the Institute of Education, University of London. Since qualifying Laura has worked for the past eight years for Surrey County Council & in 2015 set up the Local Early Autism Programme (LEAP). She has recently had an article published in the Good Autism Practice Journal reflecting on the experience of developing & establishing this service. 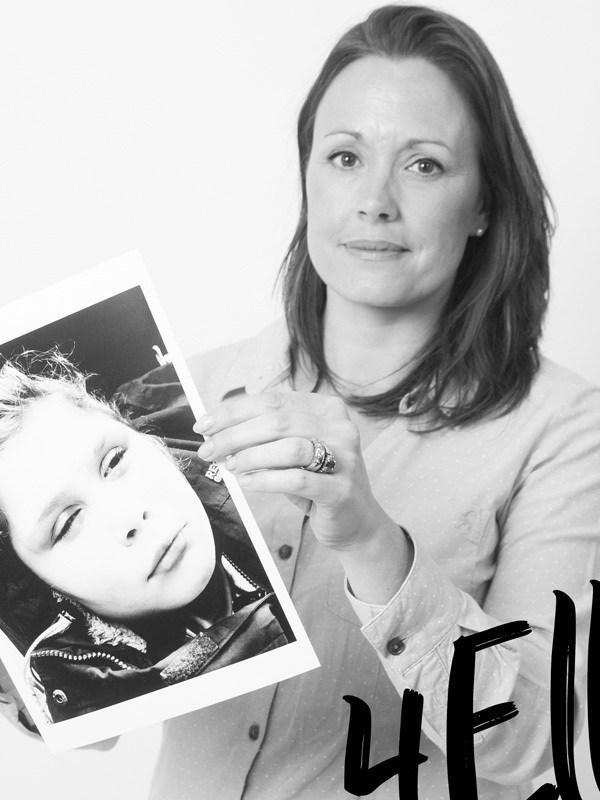 Eleanor is chief executive of SOS!SEN, a charity which helps the families of children with SEN & disabilities. 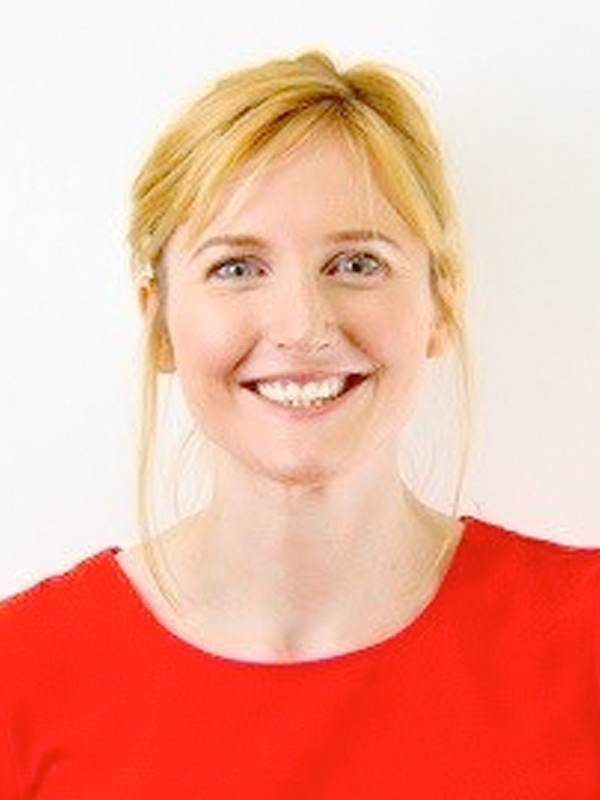 She is a solicitor specialising in education law & worked in private practice until 2015. 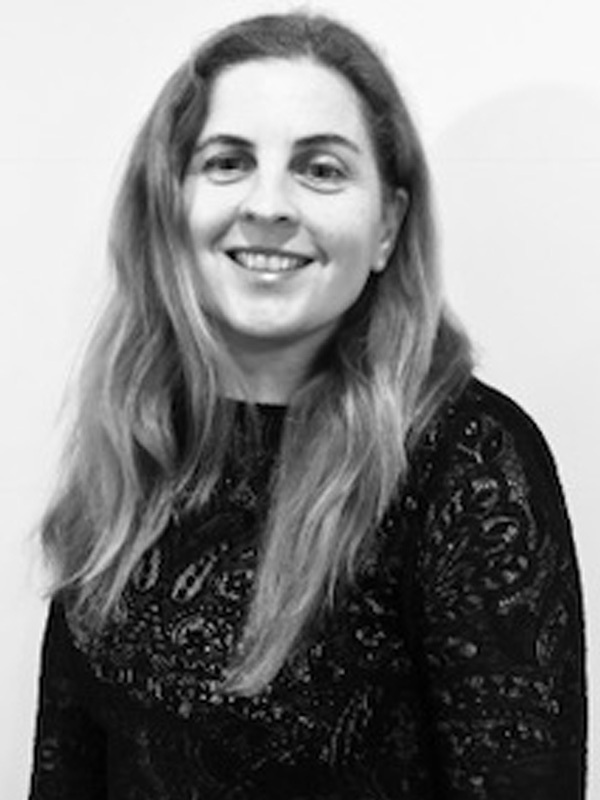 Her work includes leading workshops on various practical & legal aspects of SEN provision, advising parents & carers, helping with casework & drafting, training & supervising volunteers, lobbying & representing the charity on various committees. She is a committee member for the Education Lawyers’ Association & the Richmond Dyslexia Association & a school governor. She writes Education Law updates for the Legal Action Group Magazine. FestABLE brings together an impressive group of speakers who work across Specialist Education. All are renowned for their commitment to young people with disabilities and learning difficulties and for their expertise.